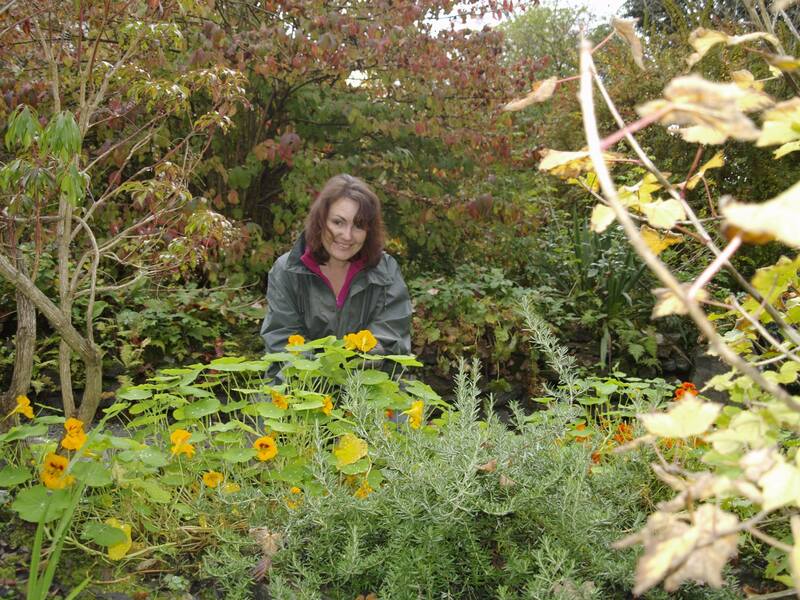 Well…surveying the damage to the garden caused by flooding and gales, what can we say? 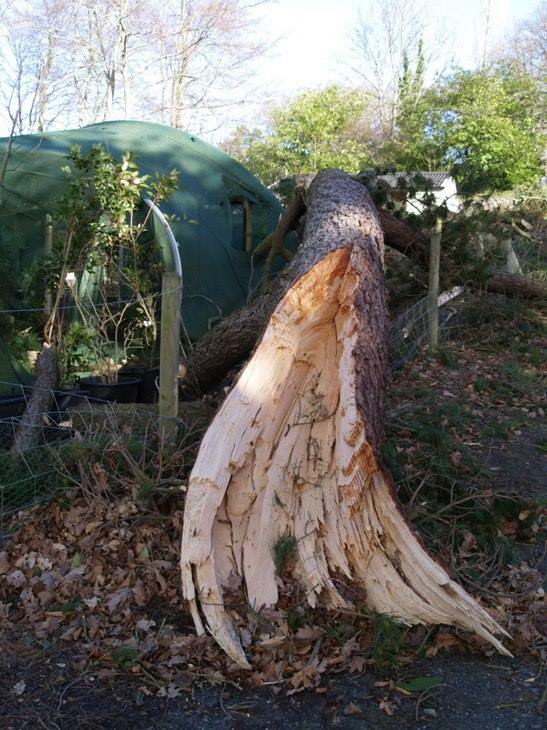 It’s been a storm-battered end to 2015. 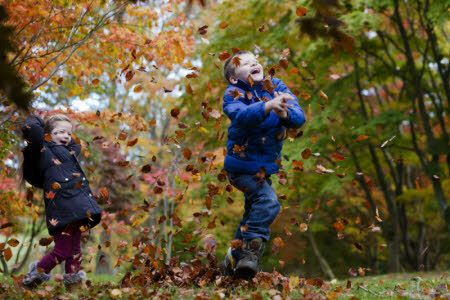 But nature has a way of bouncing back – with help from us mortals – and we still have 200,000 reasons to be cheerful, because that’s the record number of visitors who came through the gates this year. 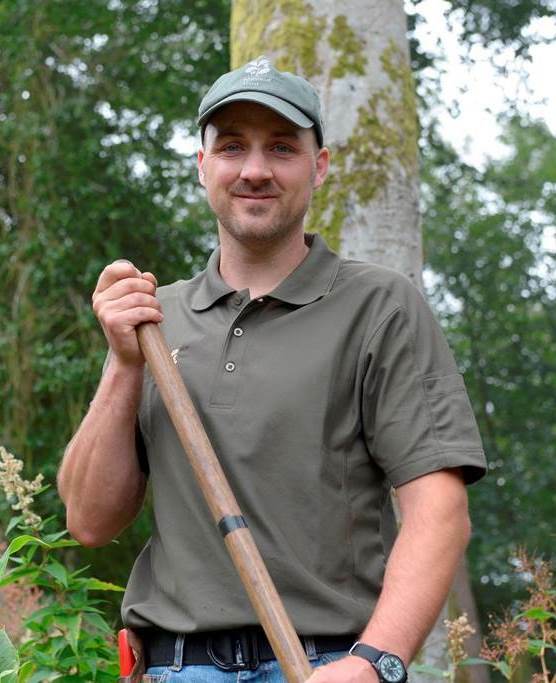 Last New Year brought a truly fresh start here with the arrival of new head gardener John Rippin, formerly of the National Trust’s Castle Drogo in Devon. 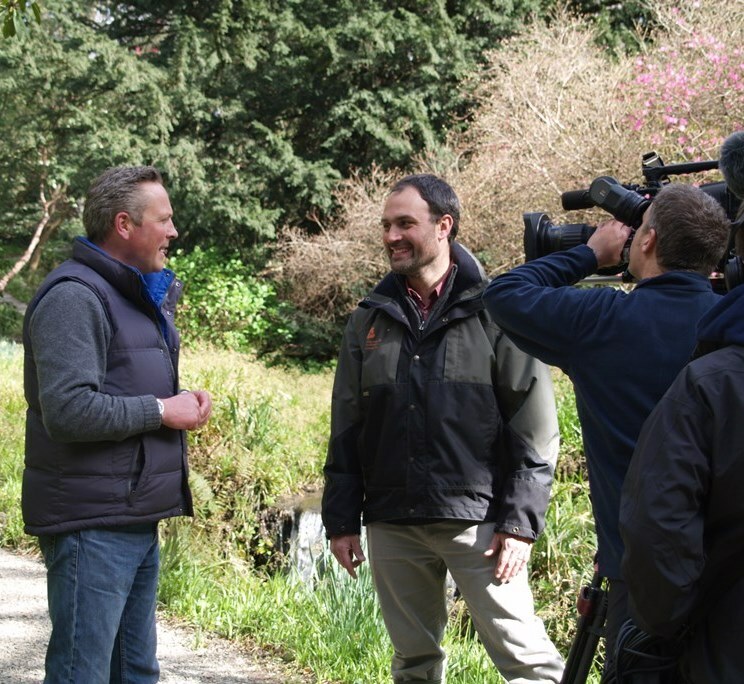 The hunt for a head took almost two years following the departure of Troy Smith who took over at Sissinghurst in Kent. 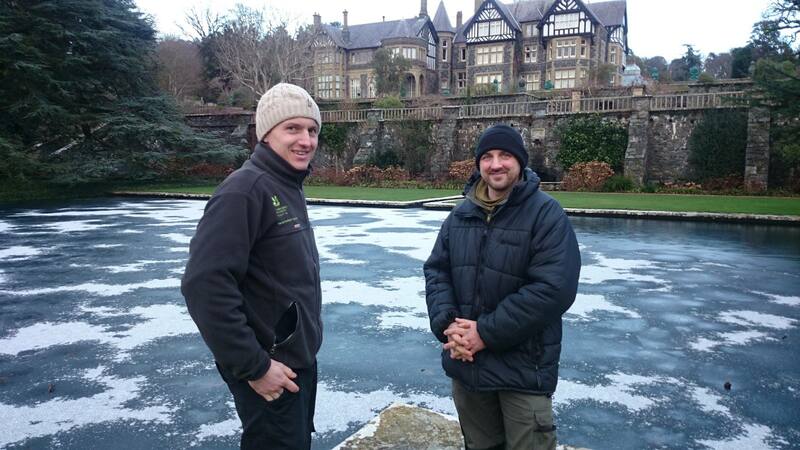 During that time our deputy head gardener Adam Salvin took the helm (seen here welcoming John Rippin on a frosty January morning). 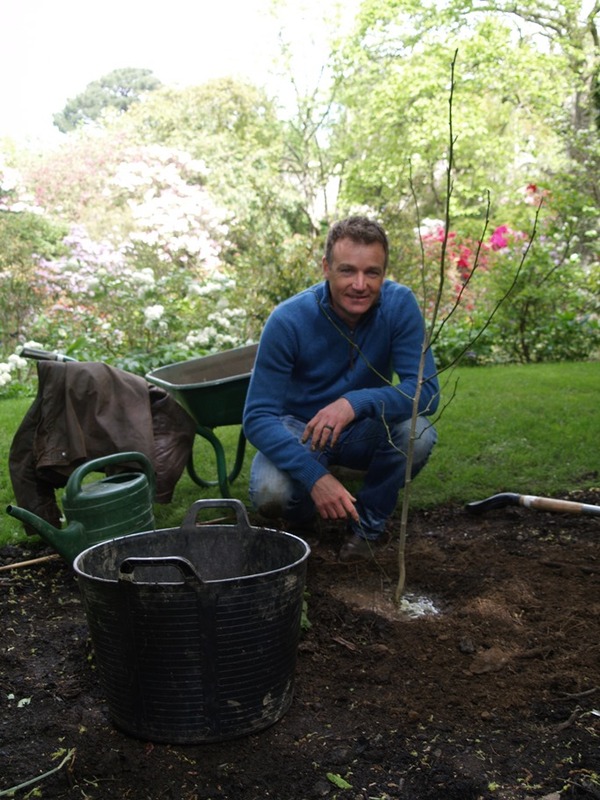 It was sleeves up and straight to work for John in the following weeks as we all raced to open the new Far End garden. 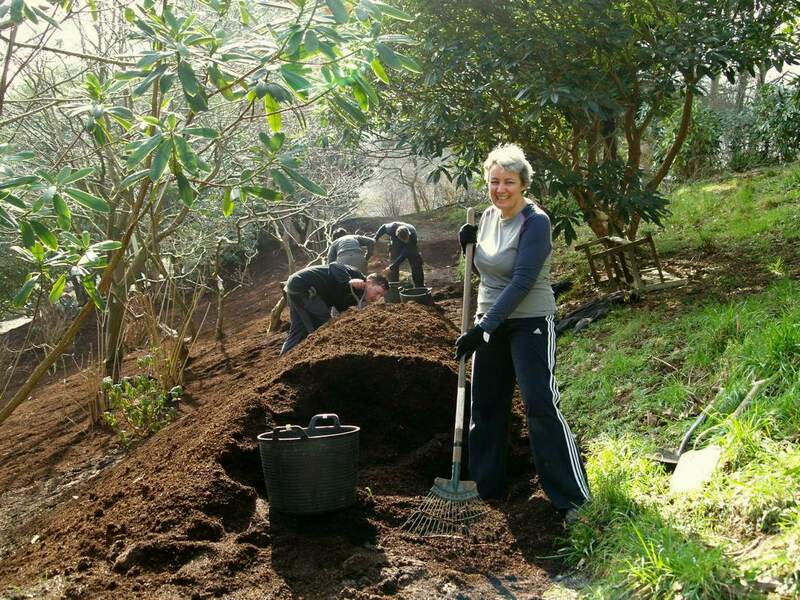 Gardeners, office staff (like property adminstrator Rose James here) and volunteers all mucked in on team work days, mulching beds, gravelling paths and getting the 10 acres ready for the grand opening. 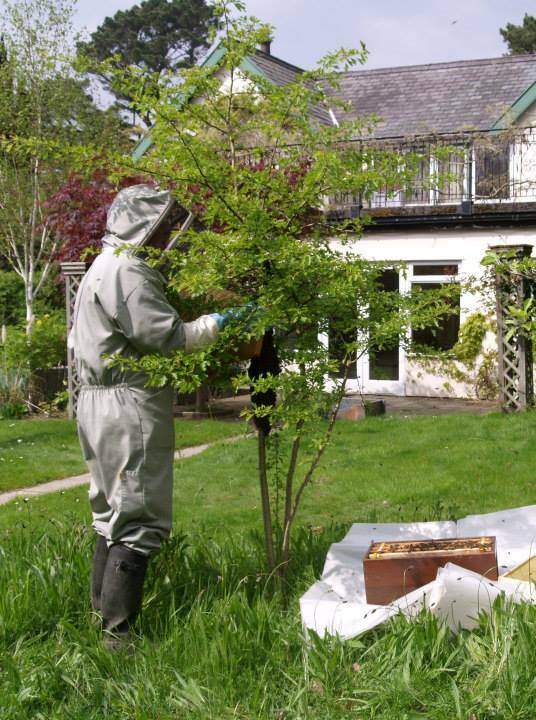 Thankfully we enjoyed a bright February of cold but clear days which made the work easier. 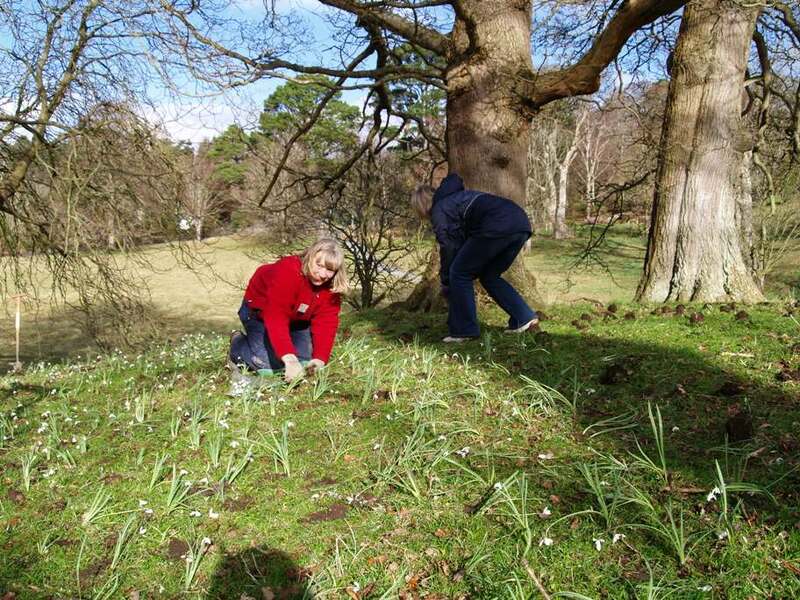 The weather was also perfect for snowdrop planting and lots of families joined us in our annual effort towards planting 1 million bulbs in the Old Park. 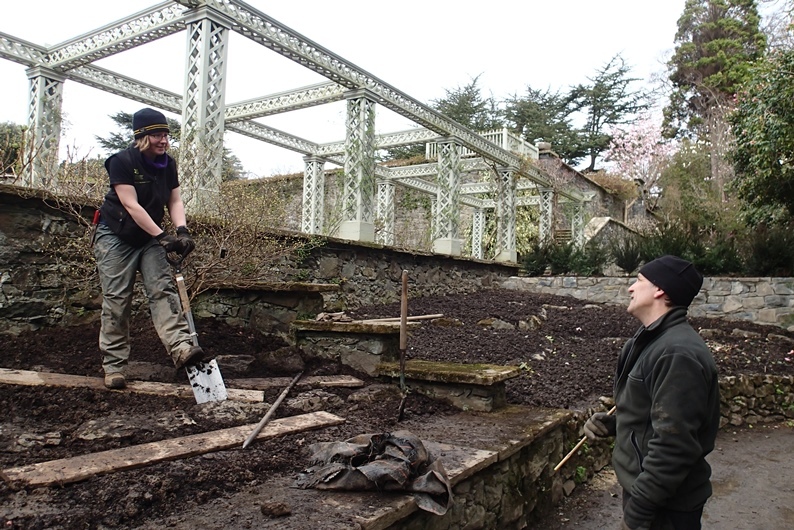 Work also began on the renovation of the Gentian Bed near the Pin Mill being redesigned by gardener Katie Croft (seen below) as an ericaceous bed suitable for moisture loving woodland plants, including some rare specimens. 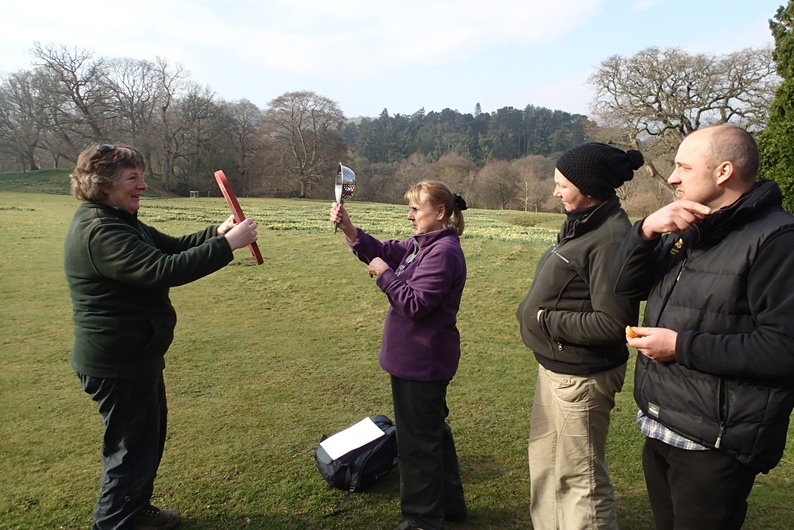 In March everyone downed tools and took up gadgets and gizmos (some professional, some DIY) in order to view the solar eclipse. 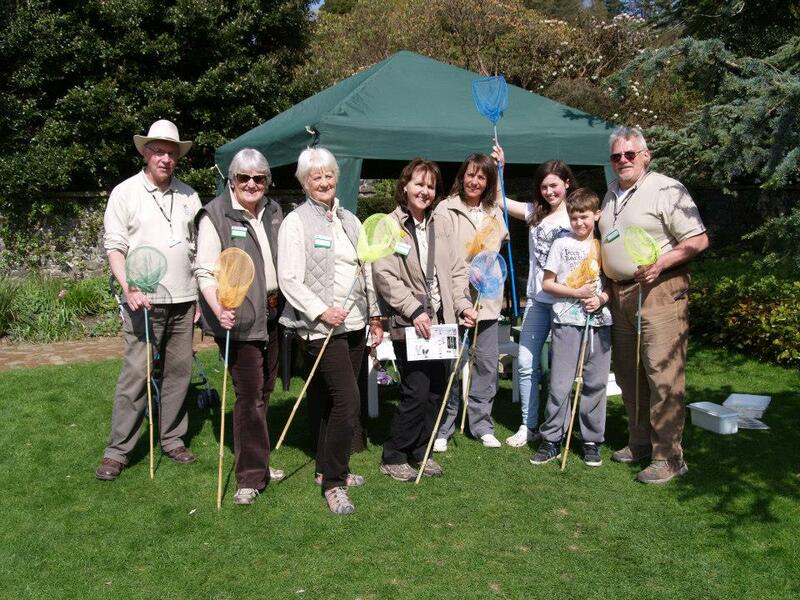 Also in March came our big event of the year with the opening of the Far End. 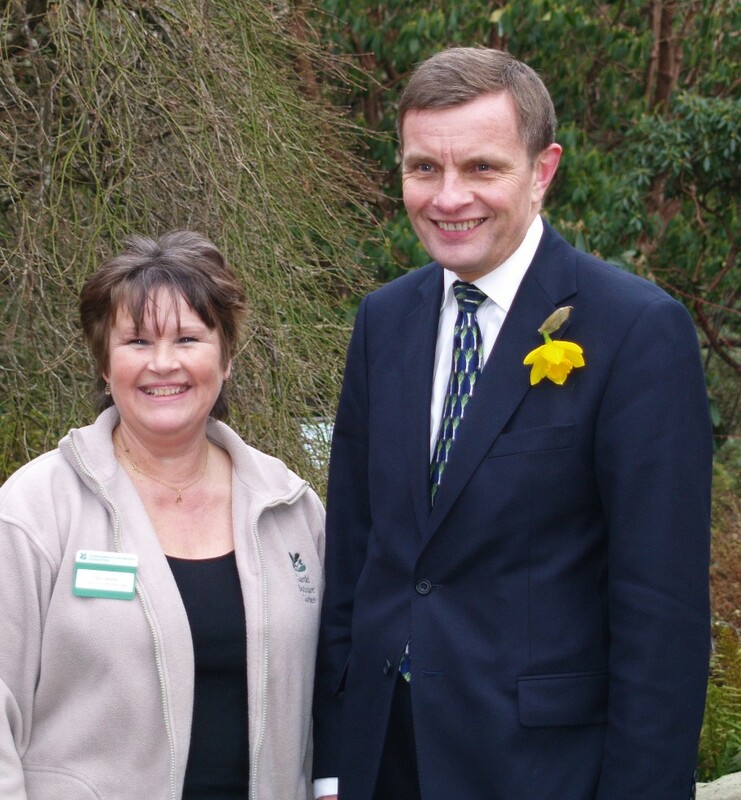 Horticultural broadcaster Christine Walkden did the honours by cutting the ribbon and garden director Michael McLaren gave a speech on behalf of Bodnant’s donor family. 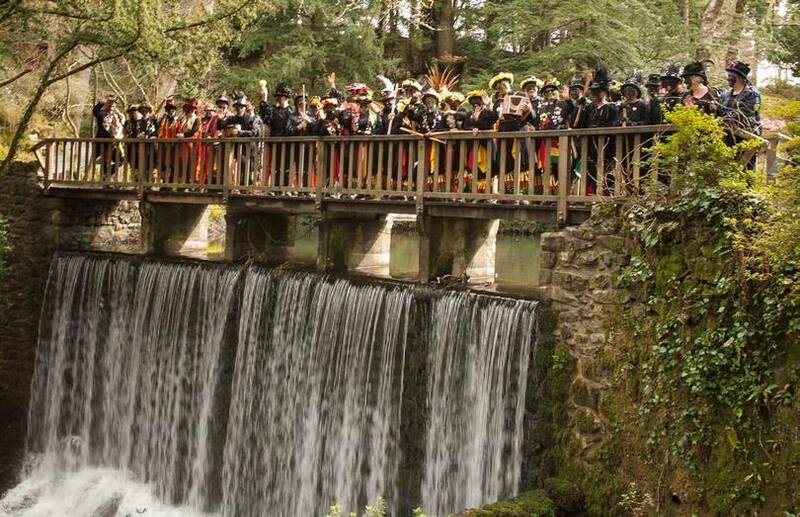 We even had Morris Dancers and a harpist providing music for the occasion. 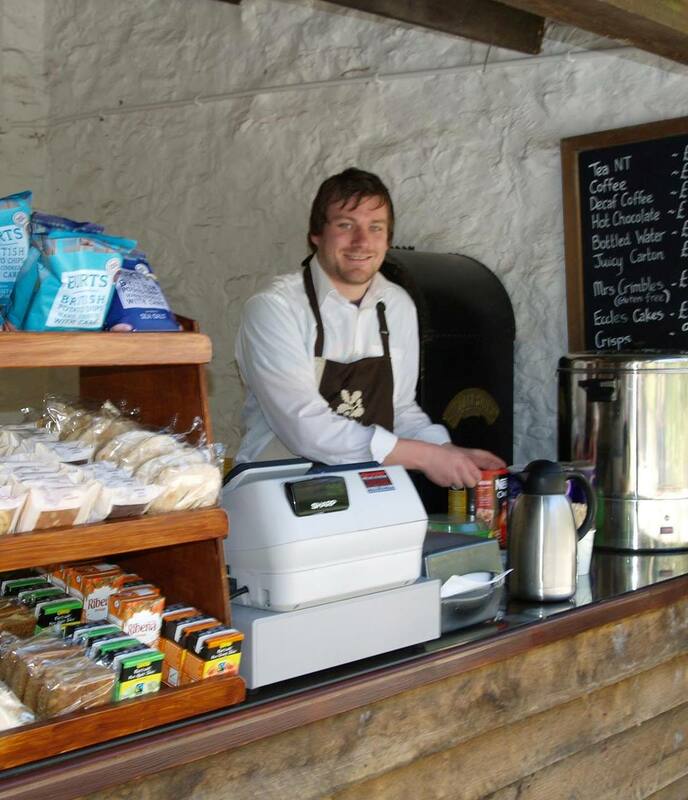 In April we welcomed another new member of the team. 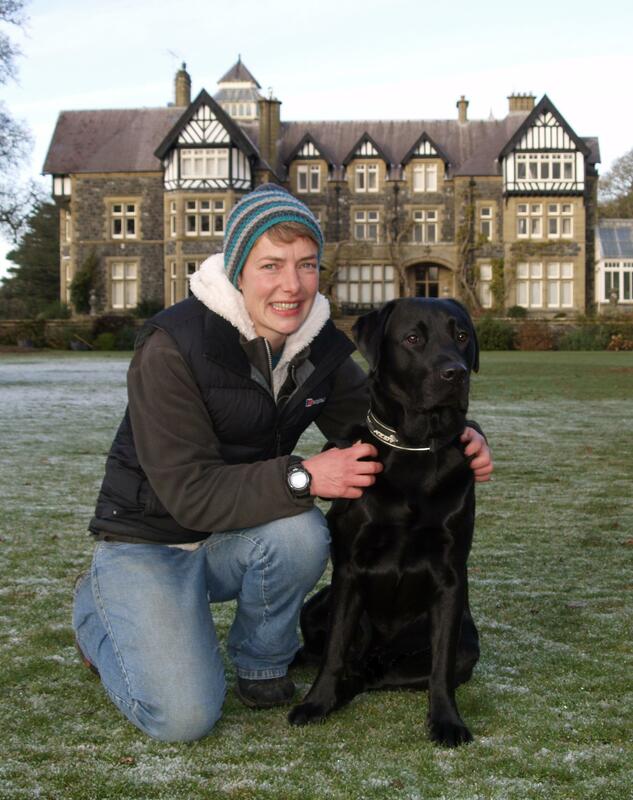 Charlie Stretton, our new events and engagement officer (seen right) brought with her a wealth of experience with the RSPB in Conwy and has been developing a full programme of events for visitors, especially pop guided bird watching walks with local experts which are becoming increasingly popular, and a range of wildlife events for families. 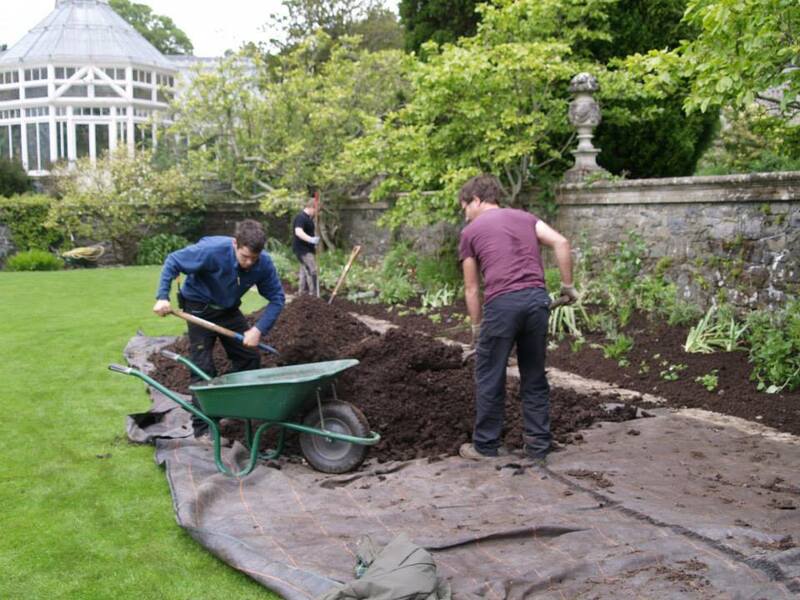 In spring gardeners were busy on a number of new projects. 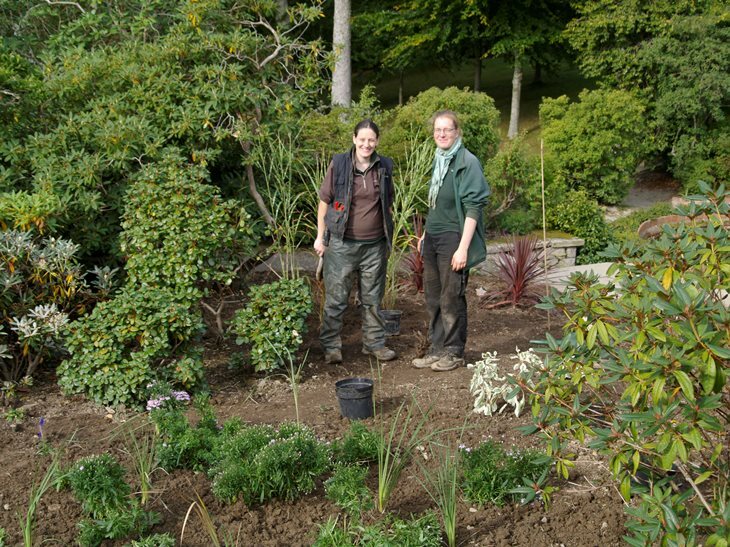 Ros Puma and Tracy Jones began planting up a ‘experimental’ wildflower border on the Canal Terrace, to fill a gap while the long herbaceous beds are being replanned. 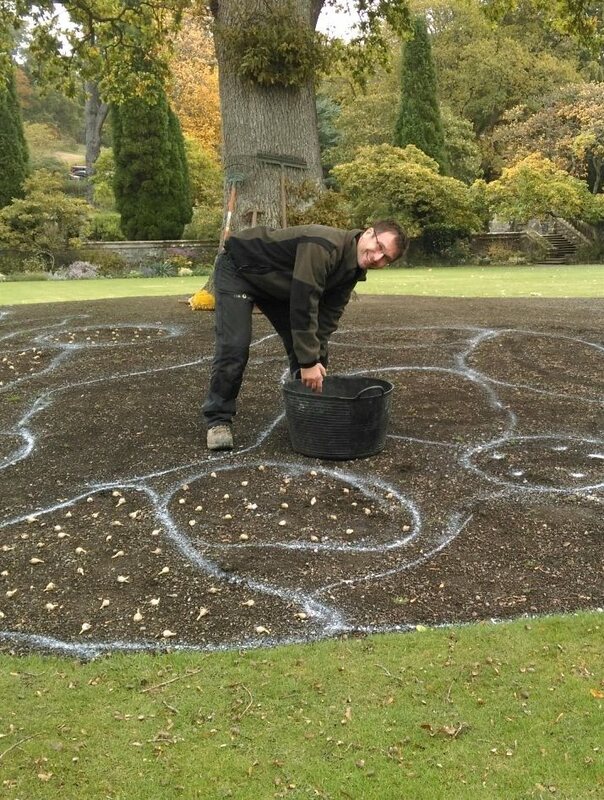 Students Jess Mehers and Jette Nielsen (seen below) also started planting up their new design for the Vanessa Beds on the Top Lawn (named after the hybrid Rhododendron Vanessa there), which were damaged when an oak tree came down the previous winter. 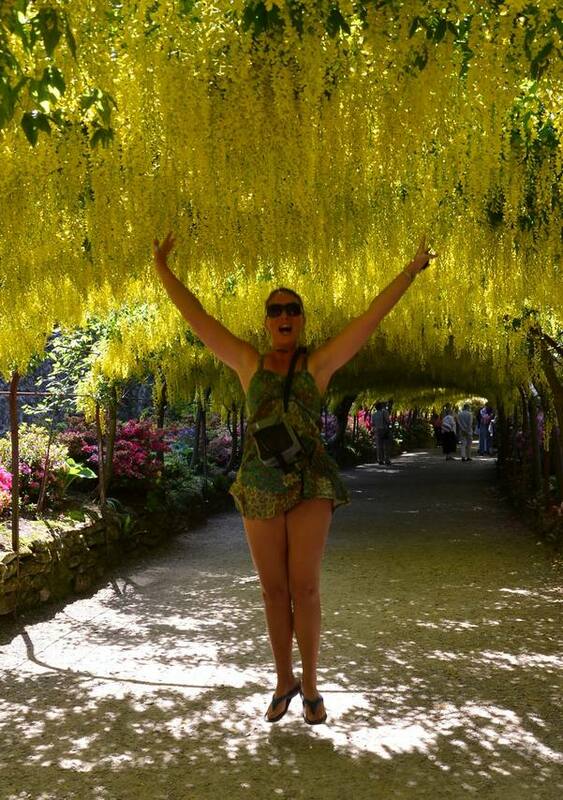 May was Laburnum Arch time of course, with tens of thousands of visitors pouring through the gates to see the annual spectacle. 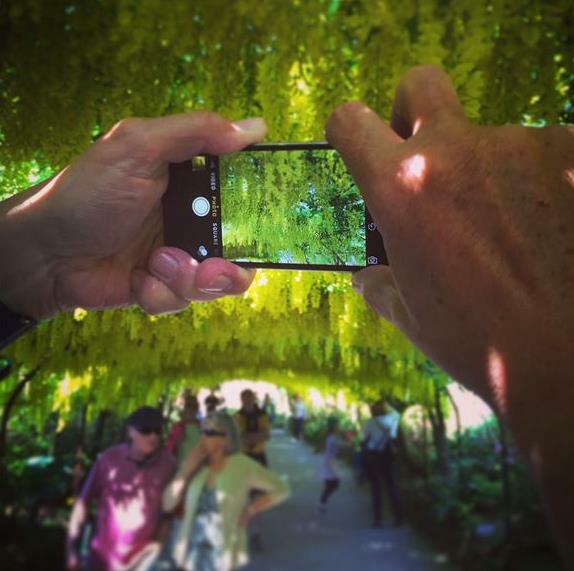 This year marked a new phenomenon – the Laburnum Selfie was huge on our Facebook and Twitter pages! 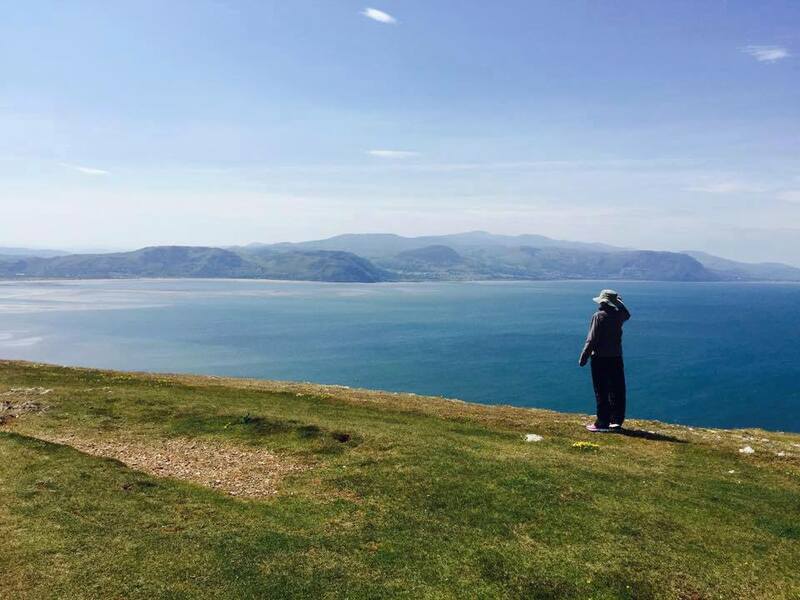 This month the National Trust also acquired Parc Farm on the Great Orme in Llandudno, which will be managed by the Bodnant Garden team. 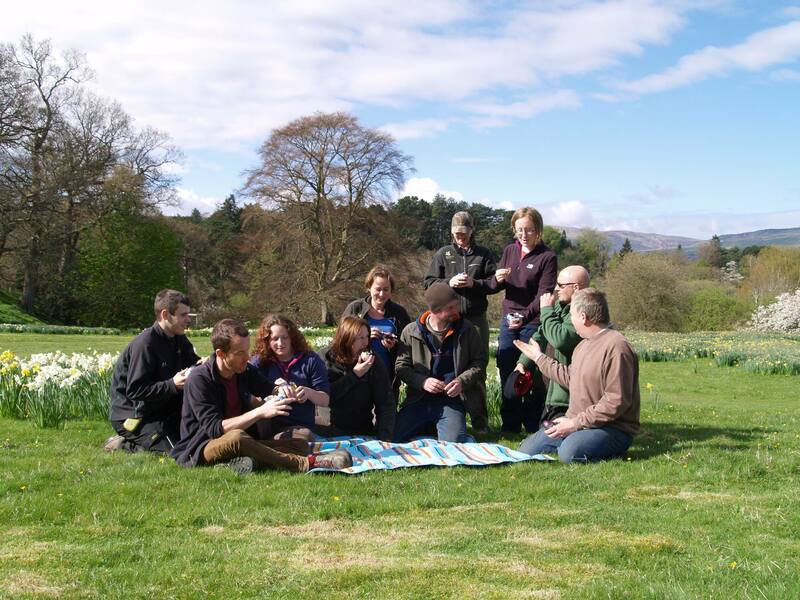 The 145 acres is a site of botanical importance and home to species such as wild cotoneaster, which does not exist anywhere else. 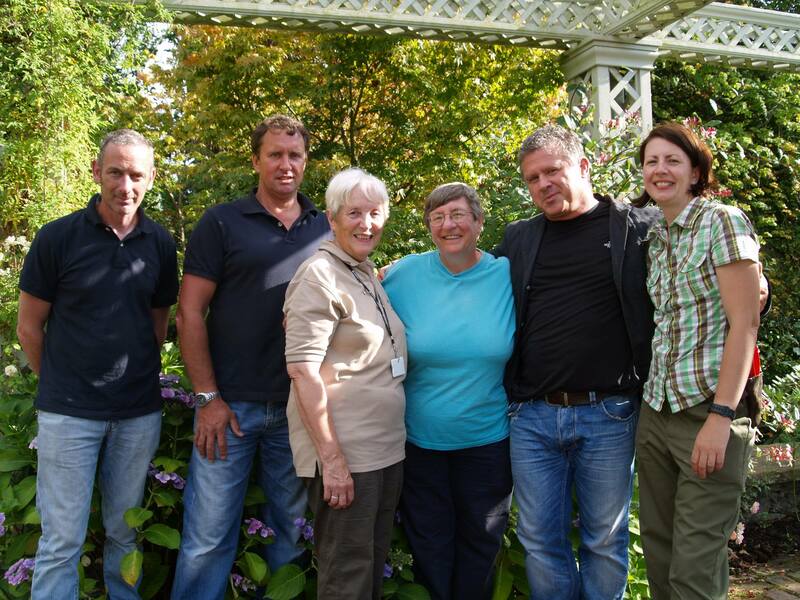 Also in May, a team from Bodnant Garden had star billing at the Malvern Show to showcase the Heritage Horticulture Skills Scheme. 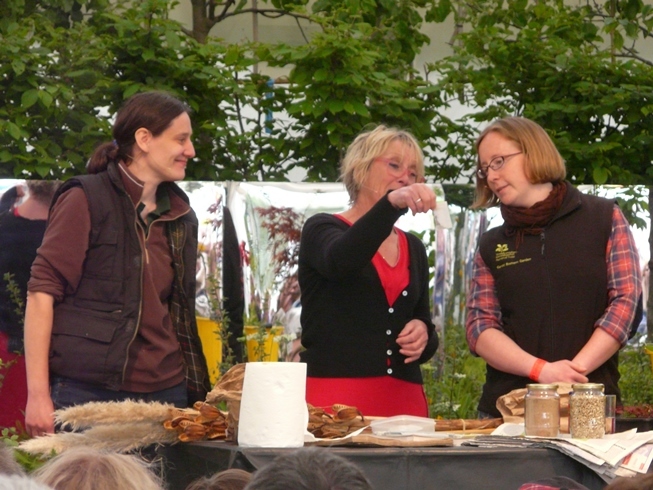 Katie and Jess found themselves sharing the limelight with Carol Klein (seen below) and Christine Walkden doing demonstrations of seed collecting and sowing. 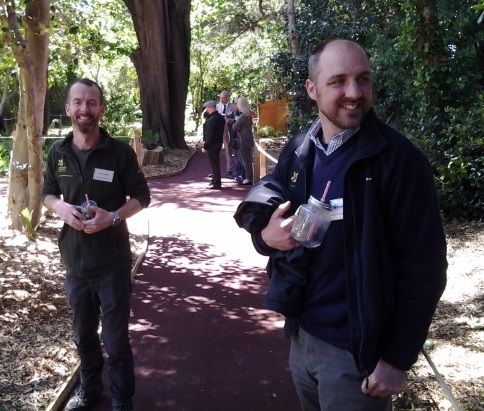 In June head gardener John and former-student gardener David Green attended the grand unveiling of a new sensory garden at the Blind Veterans Llandudno Centre. 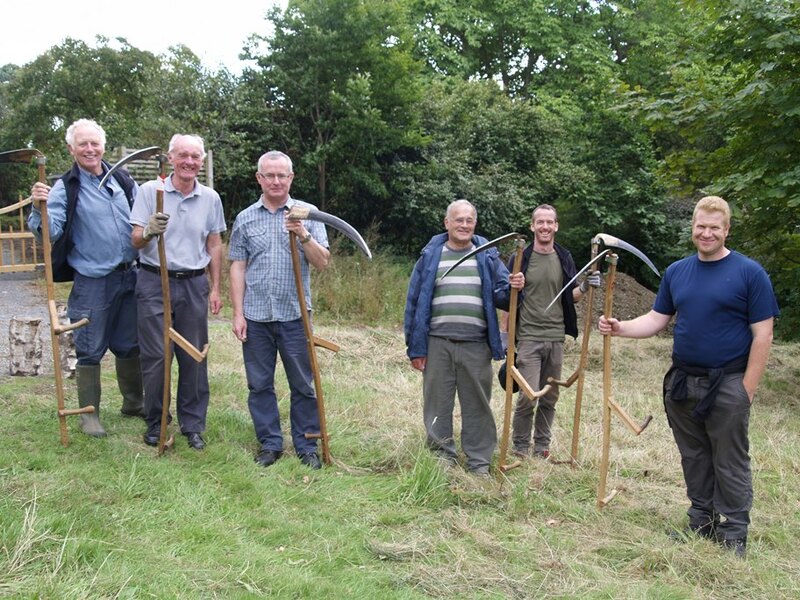 David worked with volunteers there to help develop the garden in a previously overgrown, wooded area of their grounds. 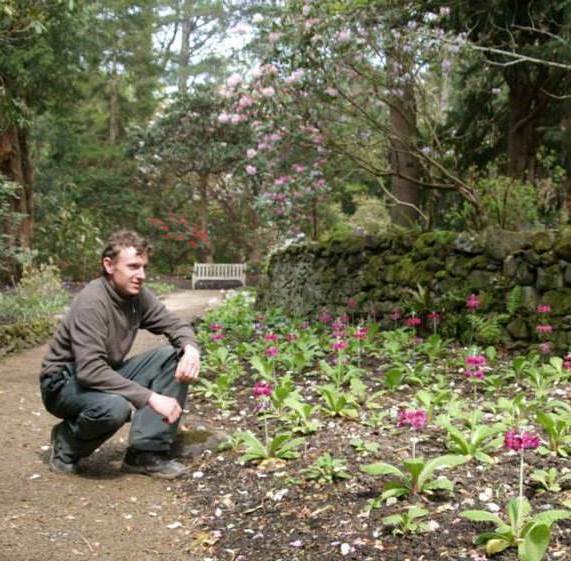 Soon afterwards David secured a permanent position at Bodnant Garden, having trained with the team for three years. 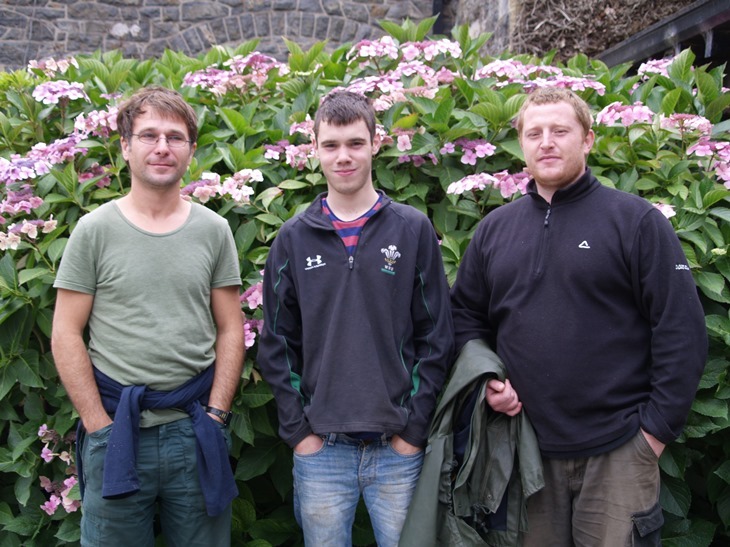 Two of our other former students, Harvey Baker and Nathan Lewis, also gained positions as full-time gardeners here and their colleague Huw Edwards (all seen right) bagged a position with Bodnant Garden Nursery. 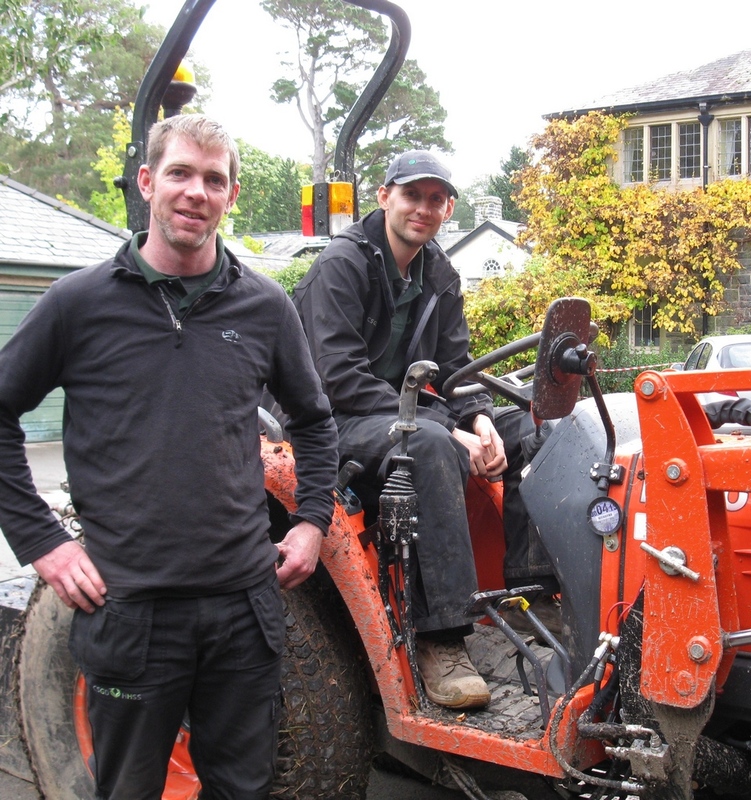 Well done lads – a testament to the quality of our training scheme! 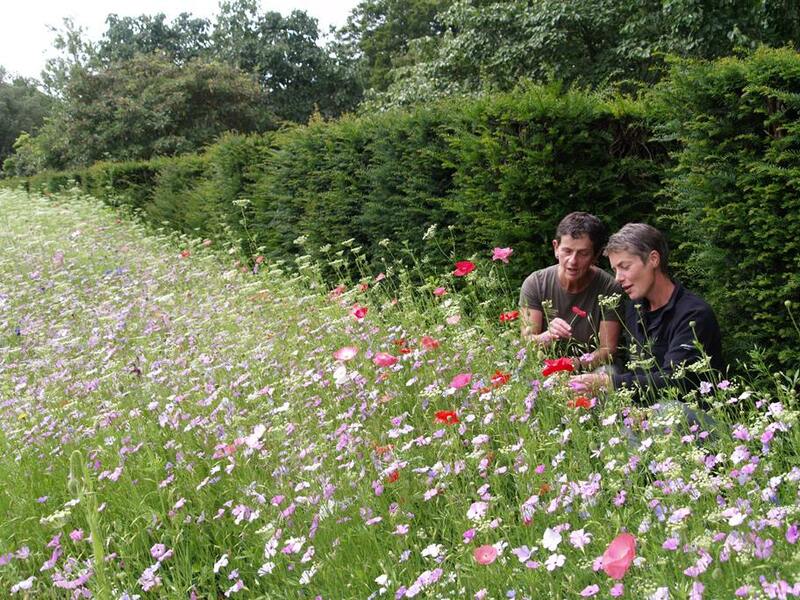 In July the results of the wildflower ‘experiment’ came to fruition, in a spectacular display which exceeded all expectations. 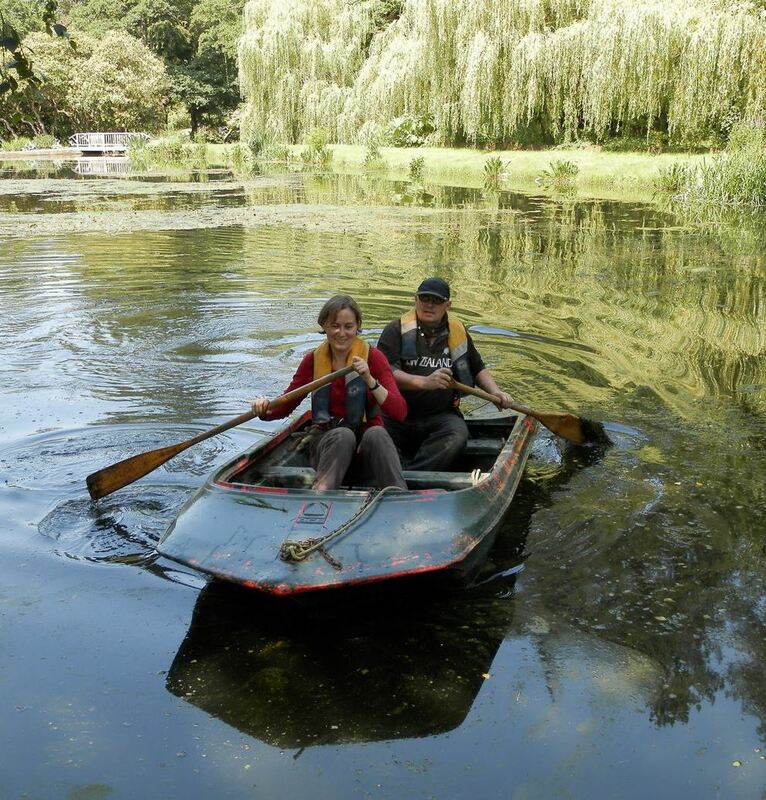 It was such a huge hit with visitors that Tracy and Ros (seen below) are repeating it again in 2016, this time on both sides of the Canal Pond. 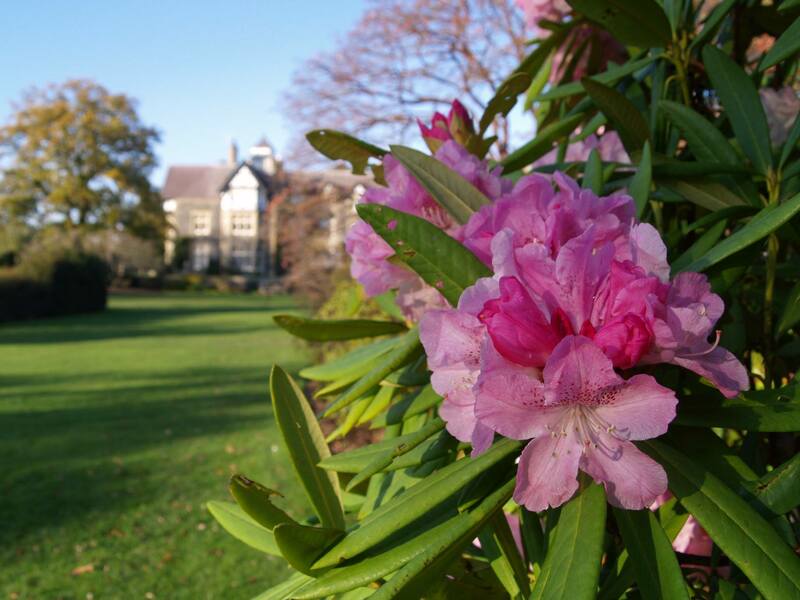 In the summer we learned that the conservation body Plant Heritage had granted Bodnant Garden a fifth National Plant Collection – for Bodnant Garden Hybrid Rhododendrons. 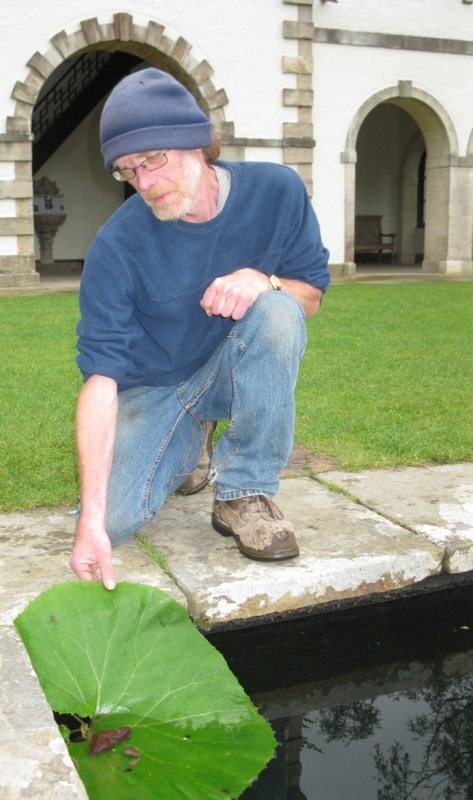 It recognises the unique plants bred here at the garden, begun by the Second Lord Aberconway and head gardener Frederick Puddle from the 1920s. 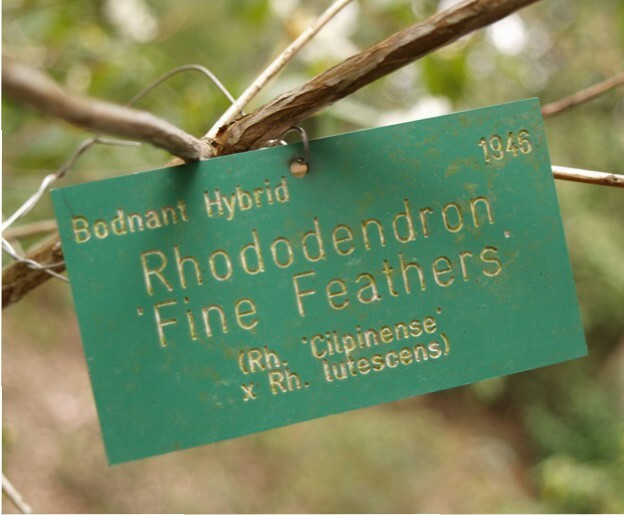 Today Bodnant Garden has around 300 hybrid rhododendrons, marked by green tags. 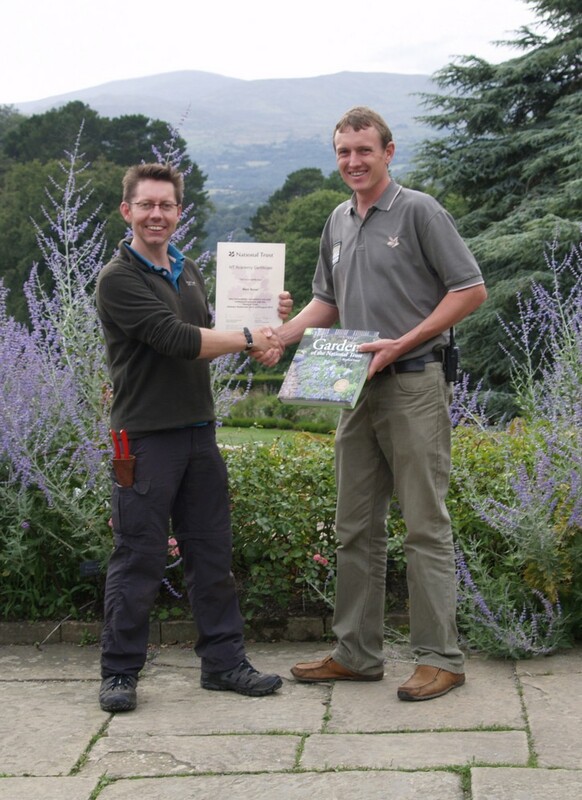 The award now brings our collections to five, along with Rhododendron forrestii, Magnolia, Embothrium and Eucryphia. 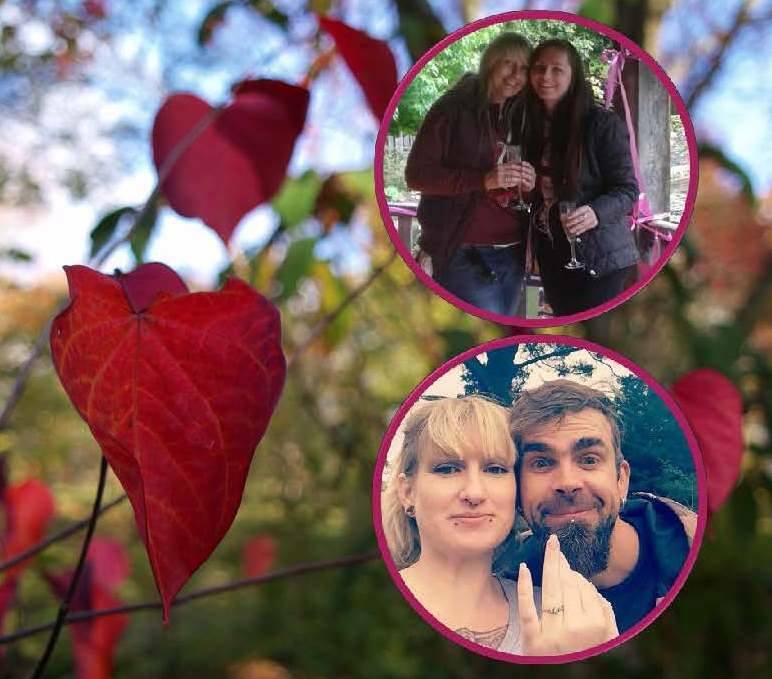 August was the month of love, with two couples popping the question in the garden which they shared with us on social media. 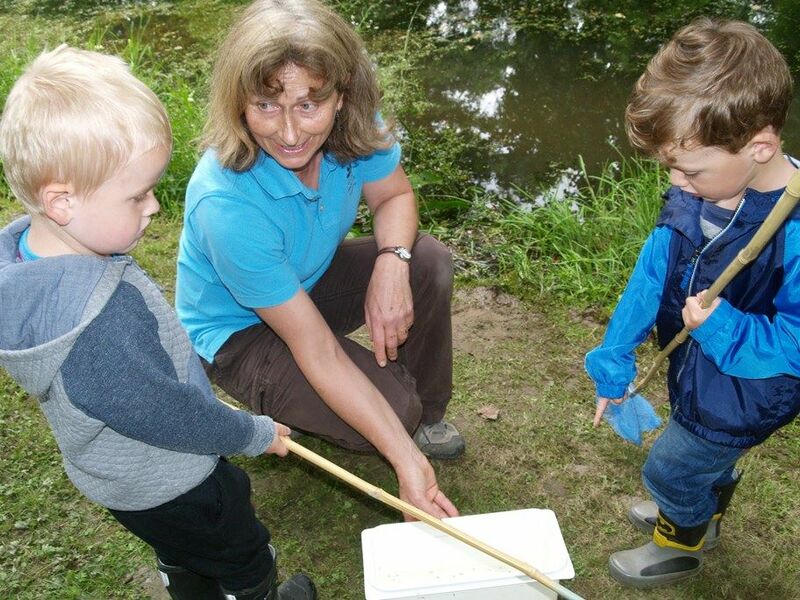 It was also the month for children, who lapped up the pond dipping, wildlife crafts, nature trails and other family activities arranged by Charlie with the help of our trusty band of volunteers and helpers. 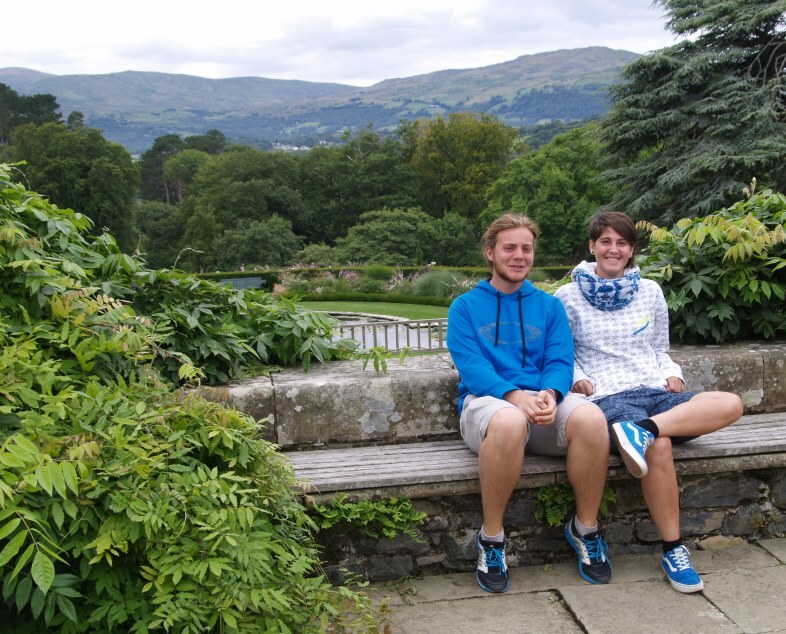 Among them was local lad Gethin Mullock-Jones, doing his Duke of Edinburgh Award, and Italian horticulture students Jacopo Pedol and Stefania Moro (all seen below). 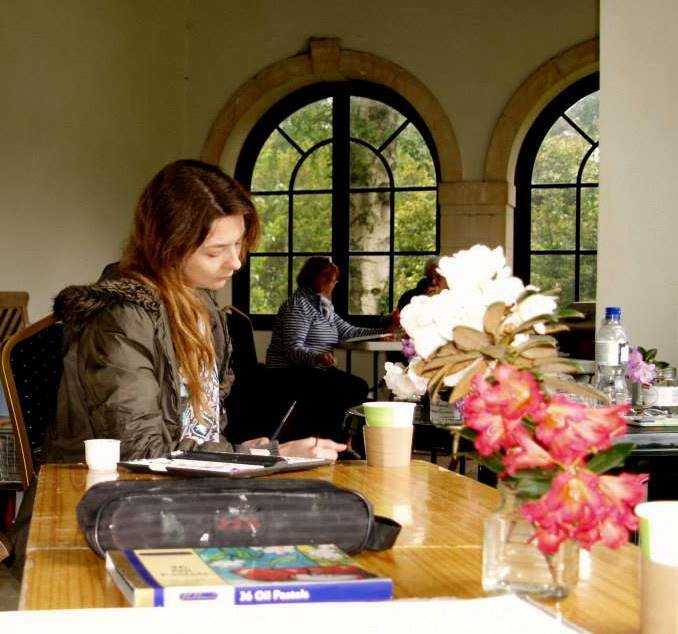 In September a new student joined us. 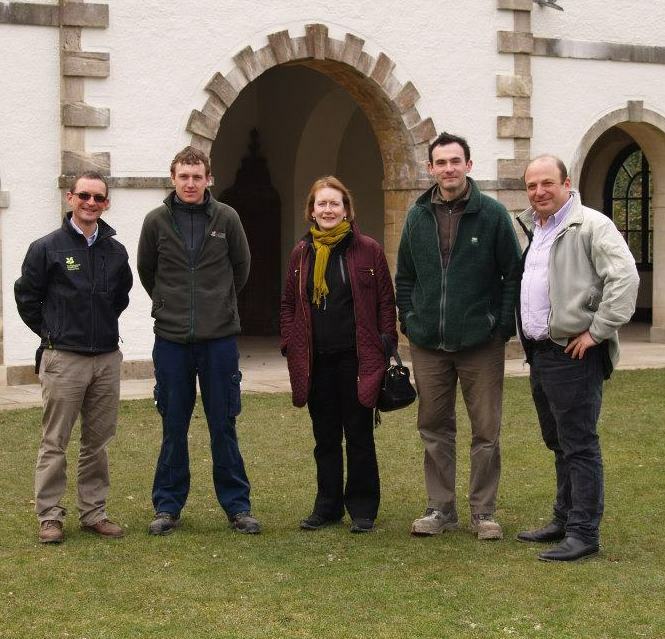 Christina Smart (seen right) is with us for 14 months as part of the Heritage Horticulture Skills Scheme. 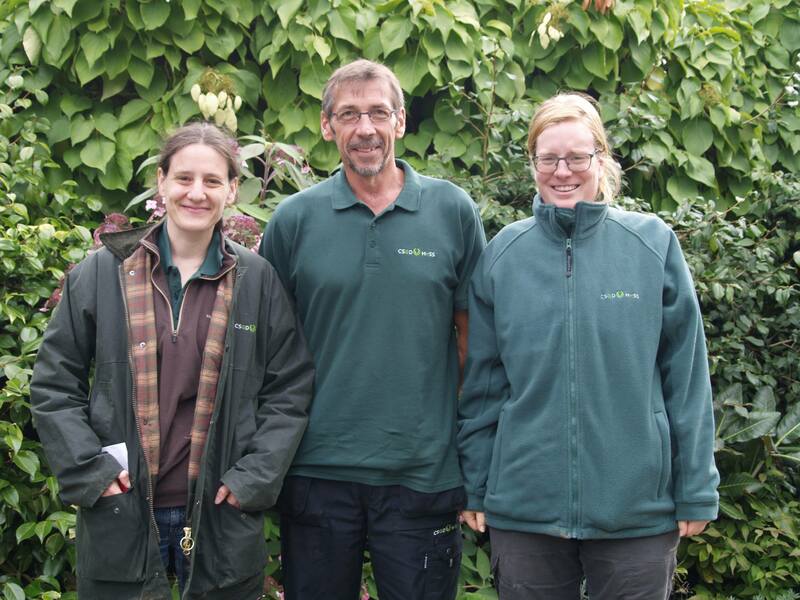 Sadly we also said goodbye to Jette and Jess in the autumn, who finished their placement and bade a temporary farewell to gardener Katie, who jetted off on a year-long study trip to Japan and America. 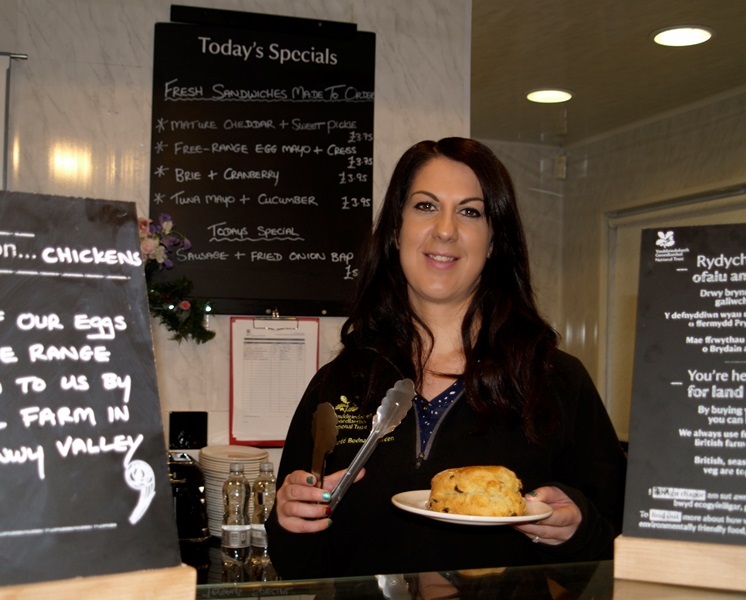 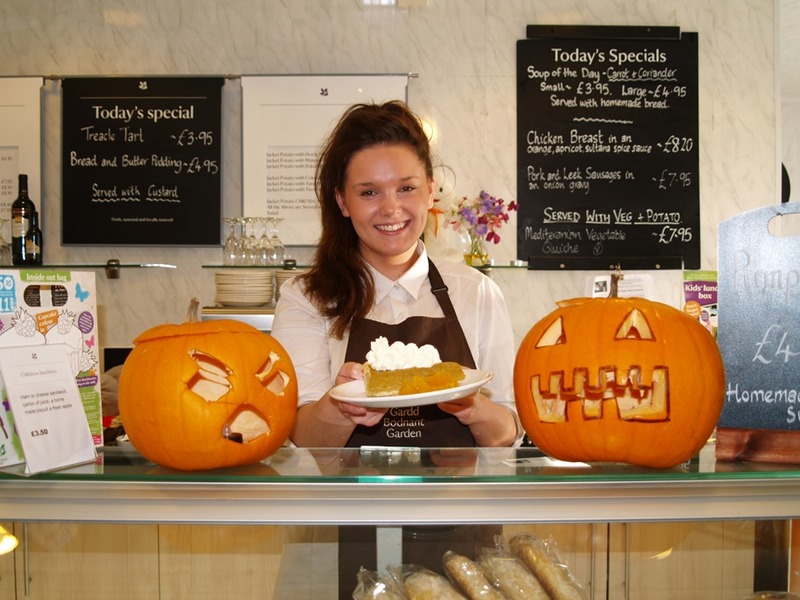 We also welcomed new catering manager Ailsa Morris (seen above) and the Pavilion tearoom was awarded the Quality Café Accolade for 2016 by Visit Wales. 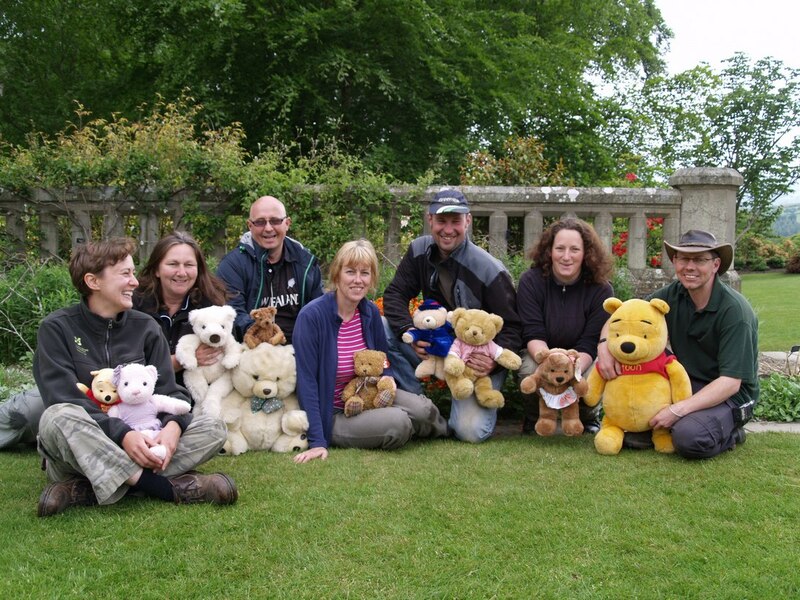 October marked a special milestone, as we welcomed those 200,000th visitors through the gates. 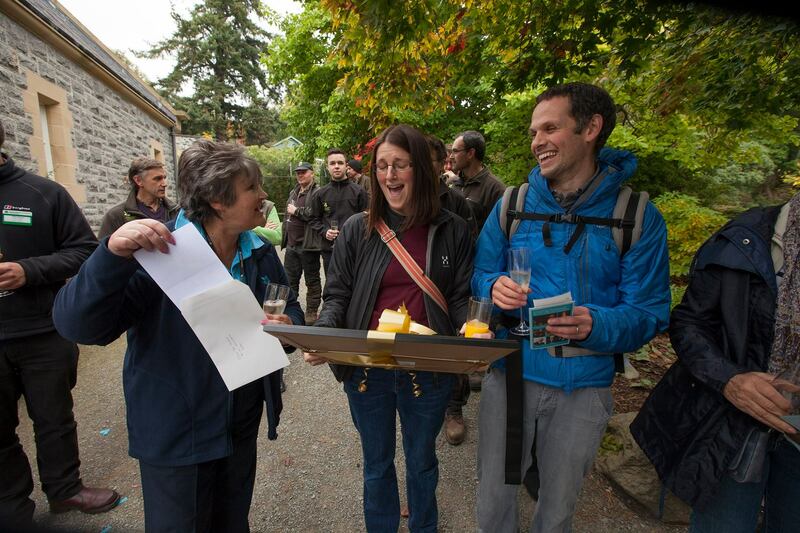 Staff and volunteers greeted the VIP guests with cake, bubbly and rousing cheers. 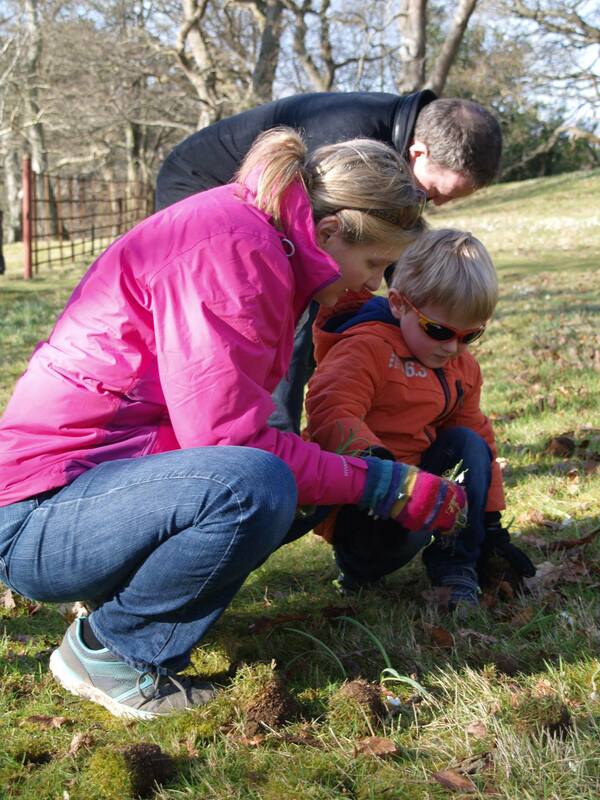 Samantha and Simon Hardman, and their baby daughter Emily from Sheffield, were also presented with a picture of the garden by Visitor Services Manager Ann Smith…and after getting over the surprise they said they would definitely be back again! 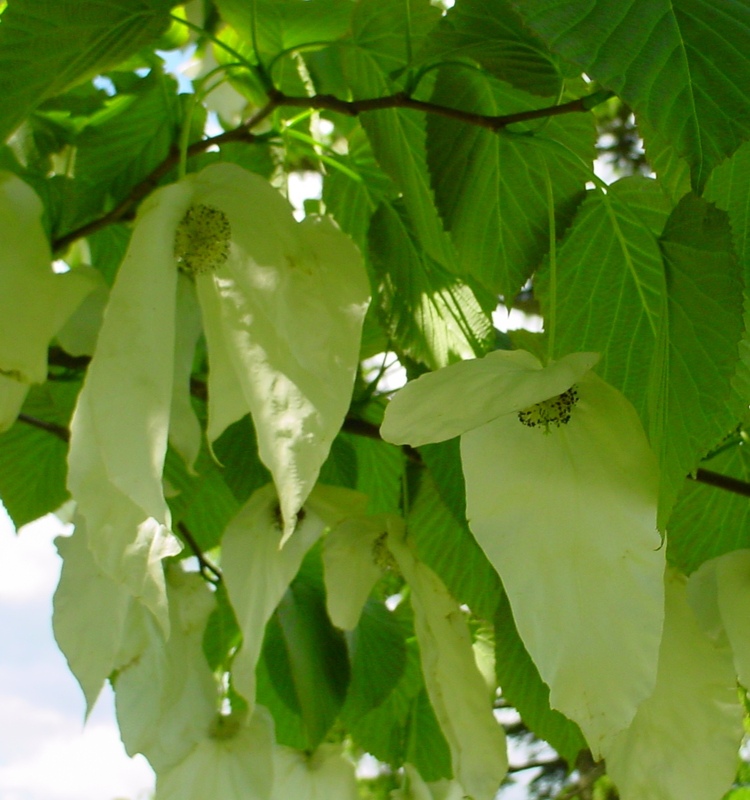 It was a long, mild autumn of spectacular colour too, with plants flowering later than usual and the trees hanging onto their leaves for longer. 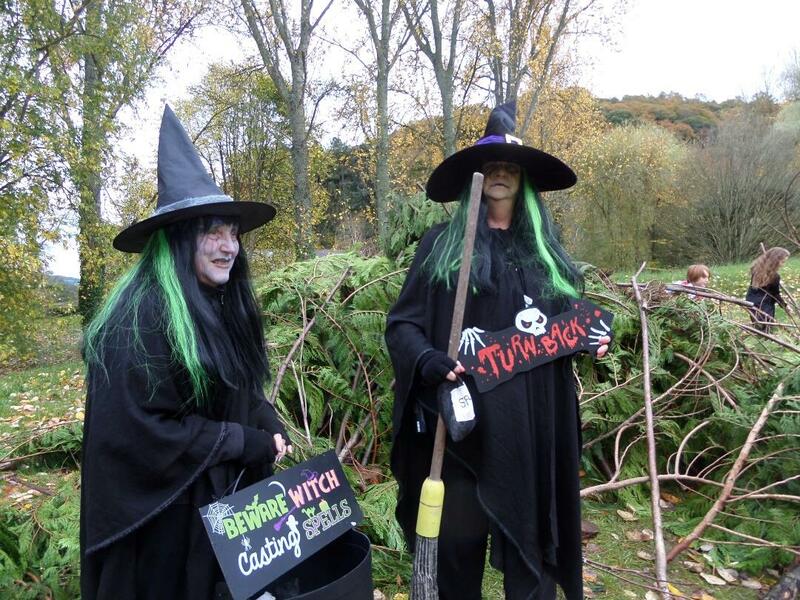 This took us into a busy and successful Half Term Week when families flocked to the crafts and Halloween events…and some volunteers (you know who you are Sally and Phyllis) really got into the spirit of witches’ hovel making. 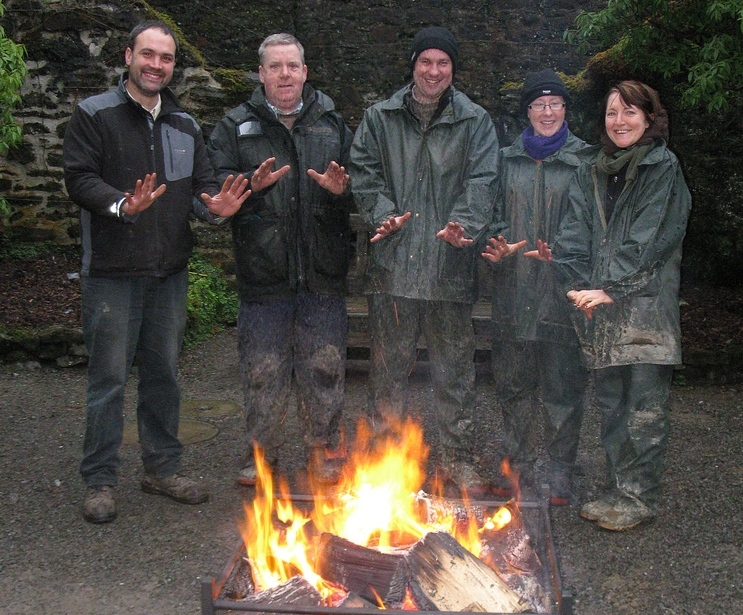 In November we had more all-team work days to tidy the upper garden ready for winter (seen below). 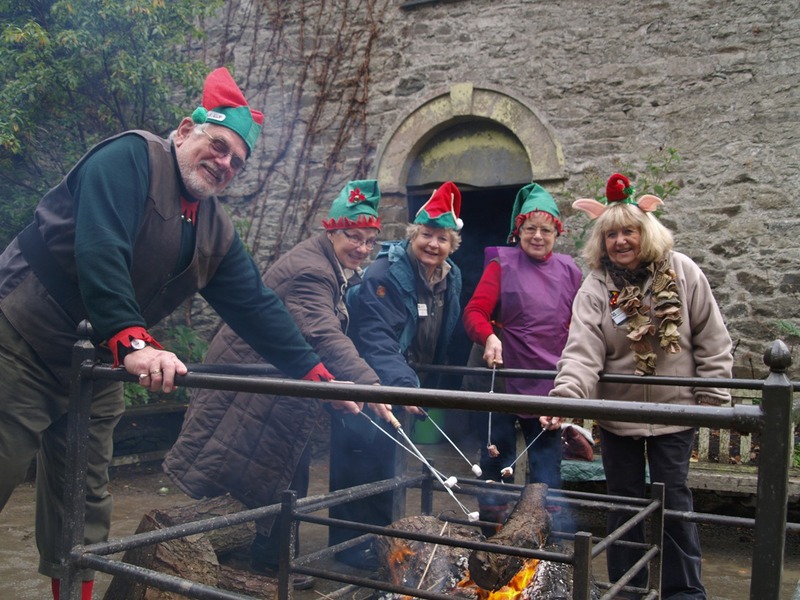 Then in the blink of an eye it was December – off with the witches hats an on with the pixie uniforms as Voles started organising our popular Christmas Elves’ Workshop. 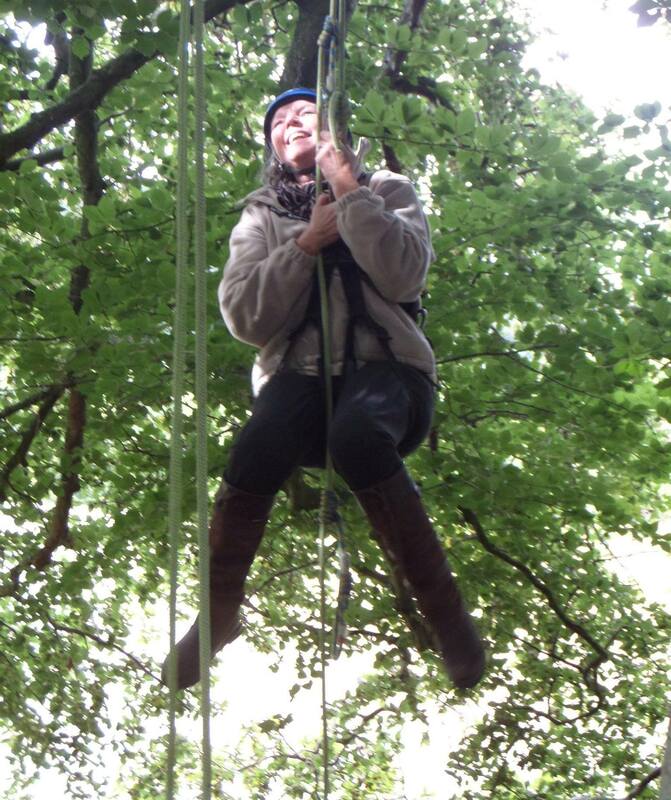 The event is in its third year now and getting bigger and better each time – despite pretty poor weather. 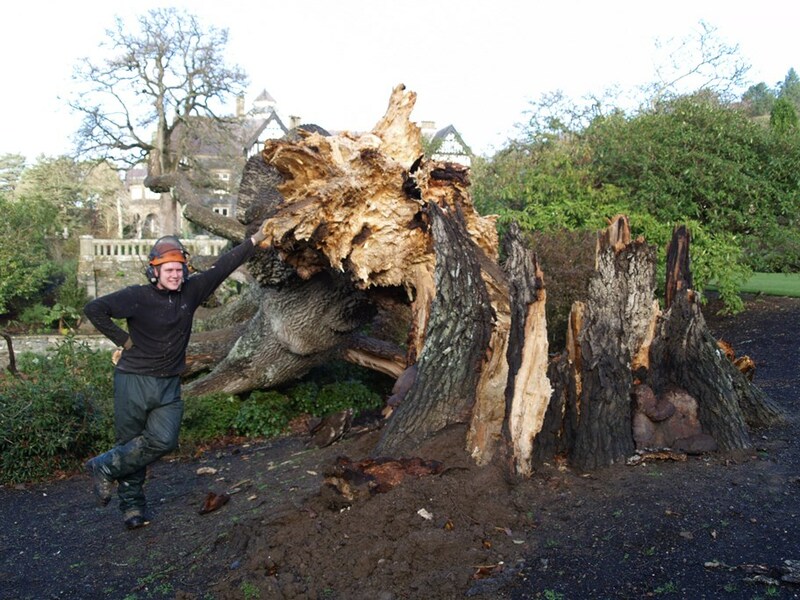 Things turned from mild and mellow to windy and relentlessly wet in November and December and two mature trees were lost in gales. 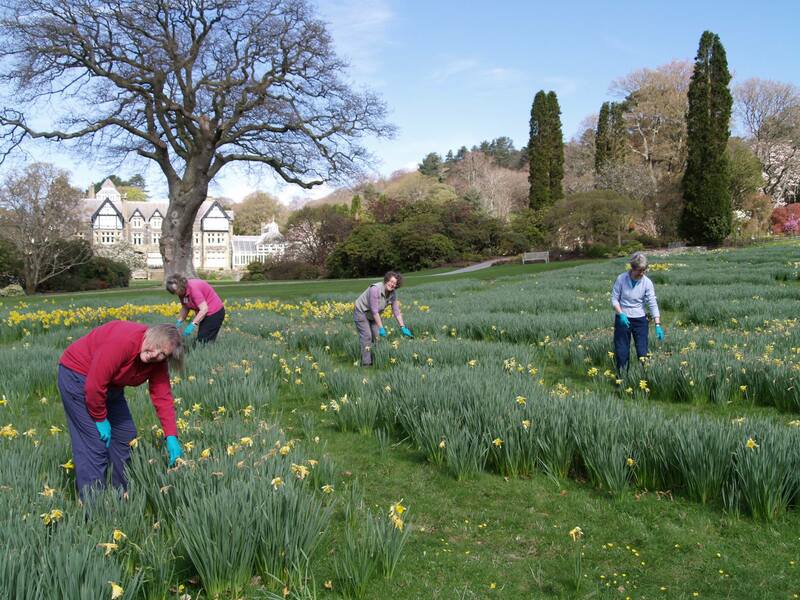 Sadly record amounts of rainfall have brought the year to a dramatic end – in recent days water has rushed down through the garden ripping up gravel paths and coursed through the valley flooding much of the Far End and Dell. 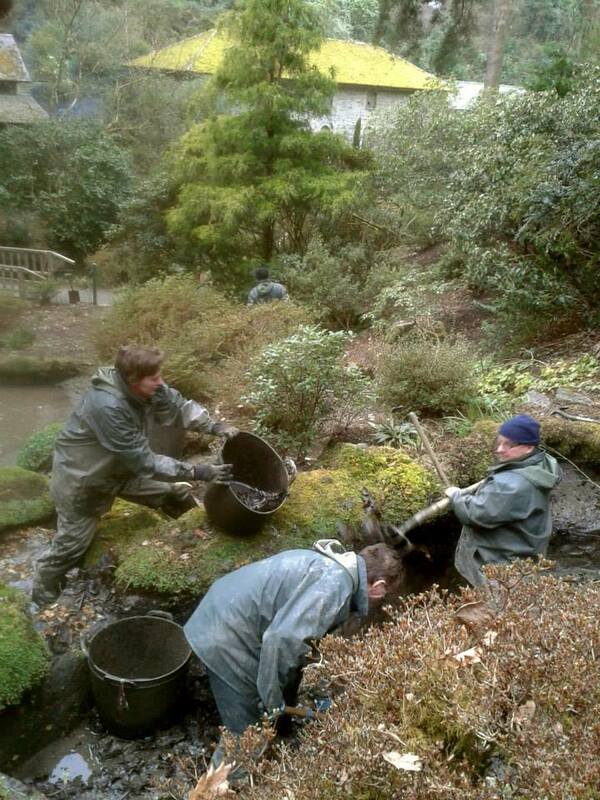 It’s been all hands to the pump for staff and volunteers repairing the damage to open parts of the garden. 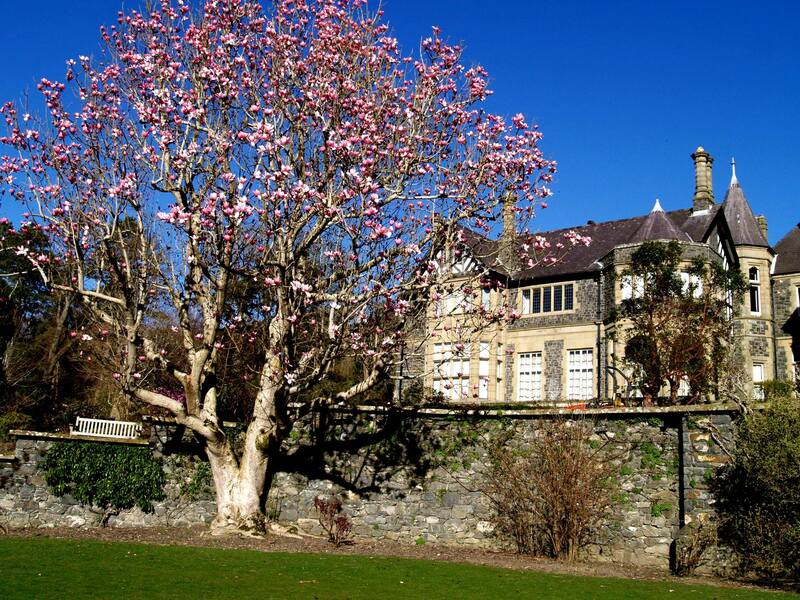 There’s plenty to look forward to at Bodnant Garden – a new Poppy Bed, more wildflower borders, early morning openings to view the Laburnum Arch, extended dog walking, a play area for the Far End, and opening the upstairs of the Pin Mill to give you but a tantalising taster. 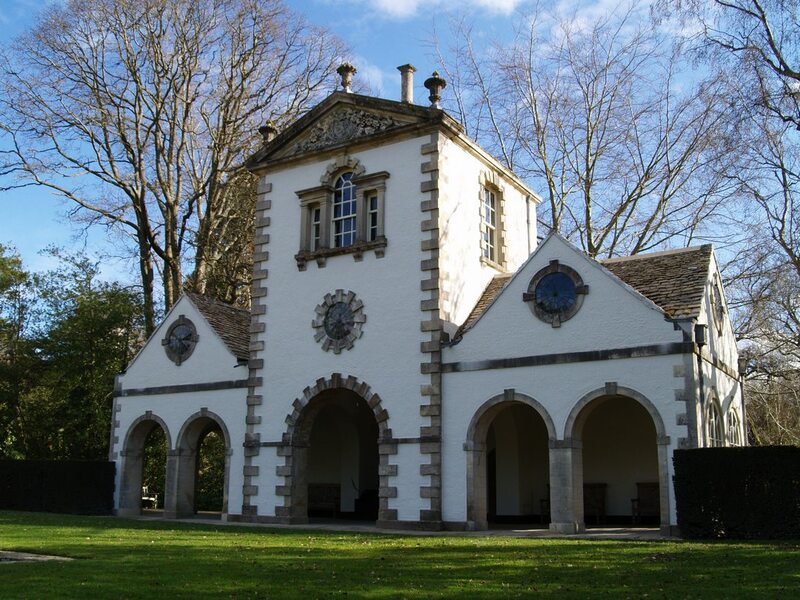 Happy New Year everyone, we hope to see you in 2016. 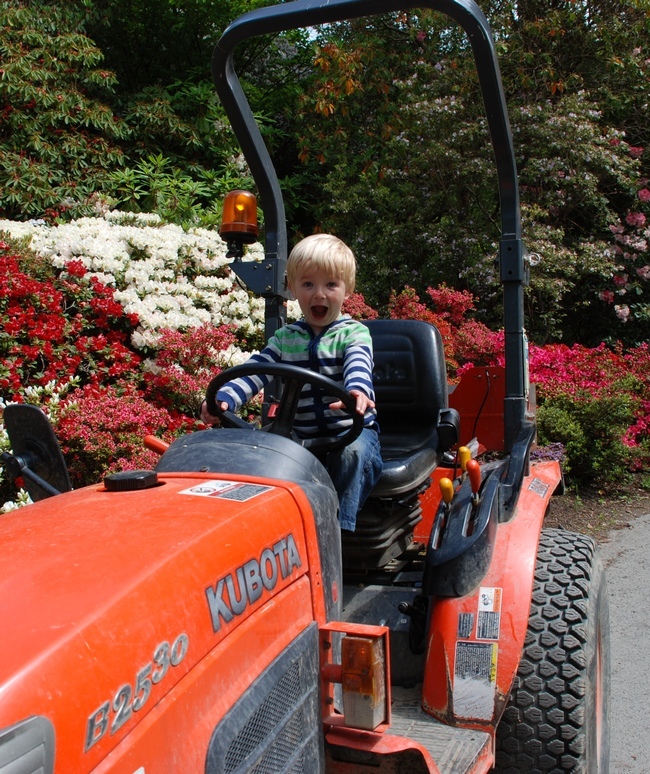 It’s been a year of change at Bodnant Garden. 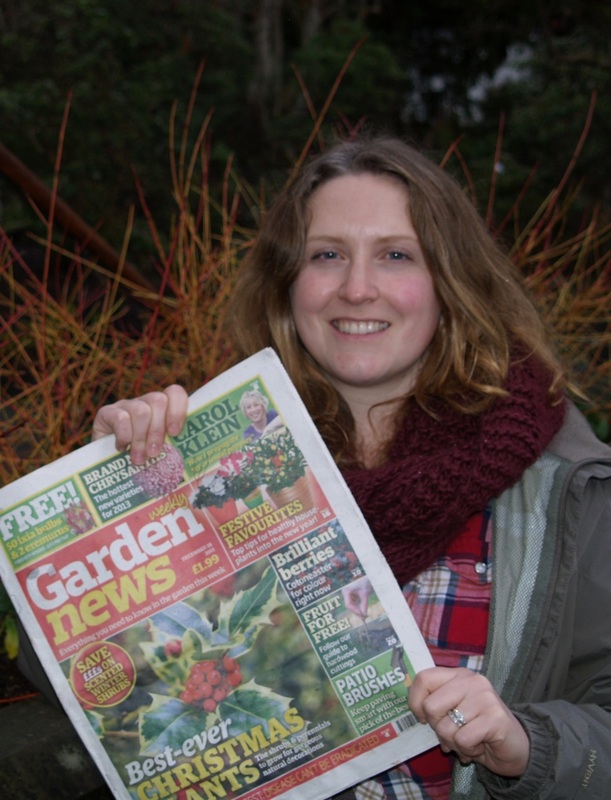 2013 began with a real fanfare as we opened our new Winter Garden, which hit the headlines in print, on radio and on television news. 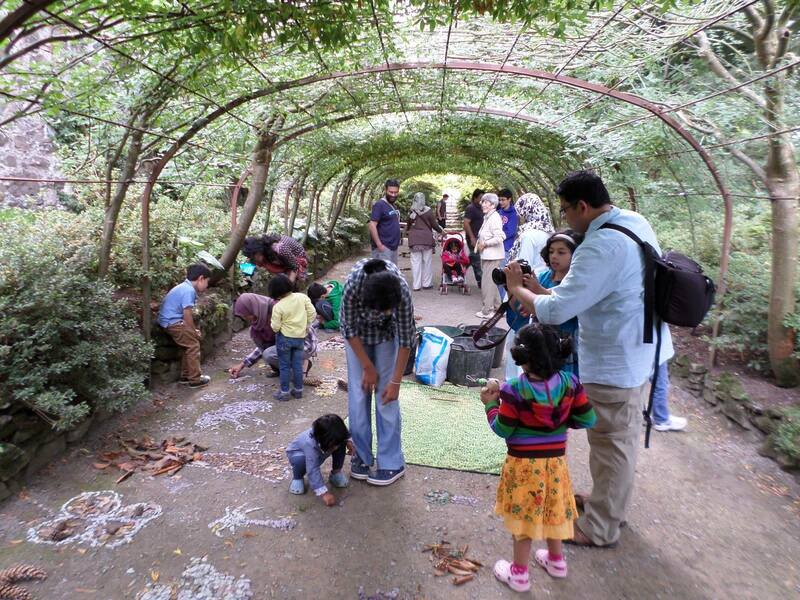 Four years in the planning and two in the making, the Winter Garden attracted 10,000 visitors in its first three months and was so popular that instead of closing it in March we kept the ropes down all year. 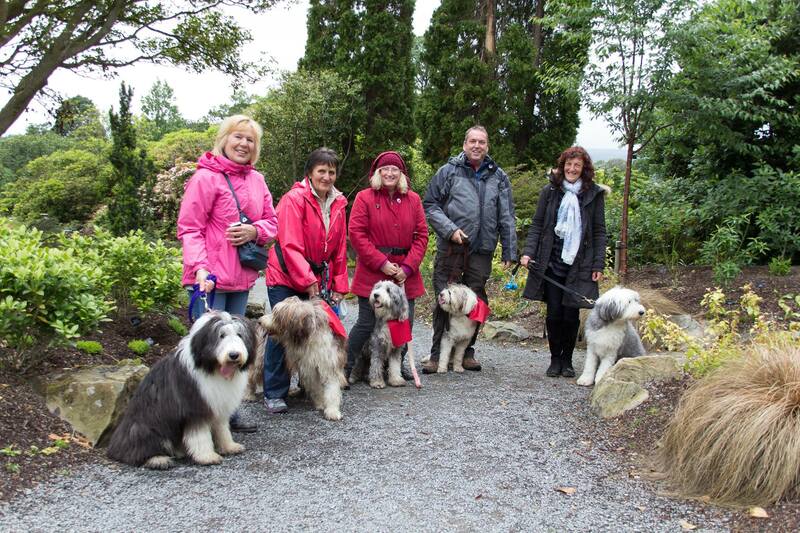 The other big news of January was the start of our Dogs Welcome days. 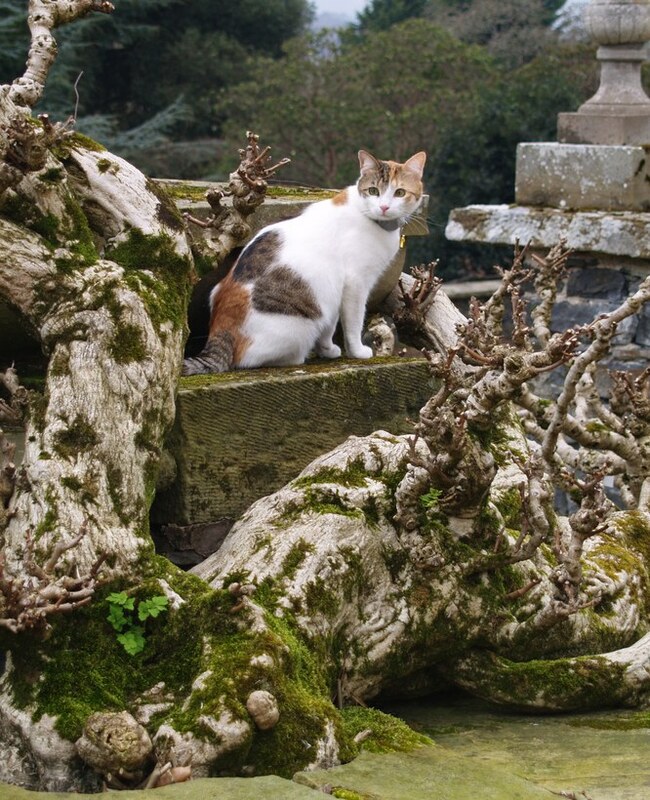 Not to be outdone, one couple even brought their (purr-fectly behaved) cat along for a visit! 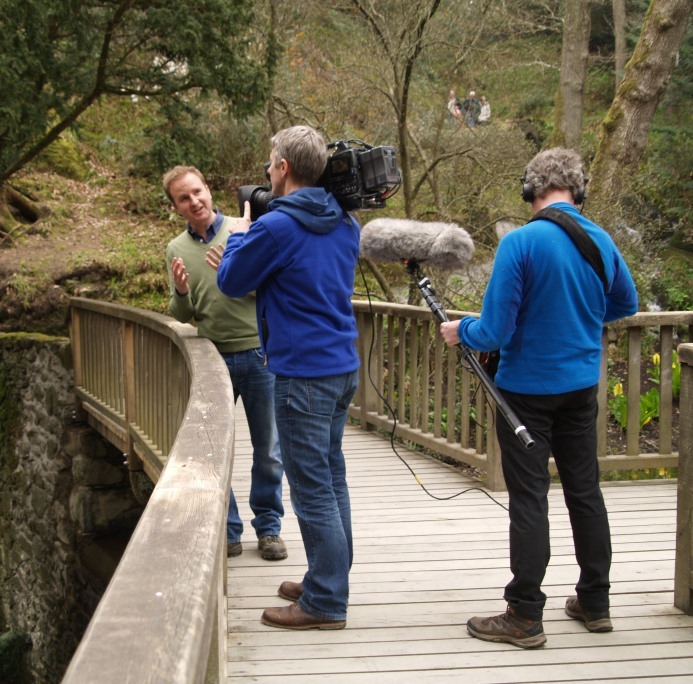 In March the scaffolding came down from the Pin Mill, which re-opened after major renovations – just in time for the historic building to host drinks and nibbles for our first Walk and Wine event in April, which was the first time the garden had been open in the evenings. 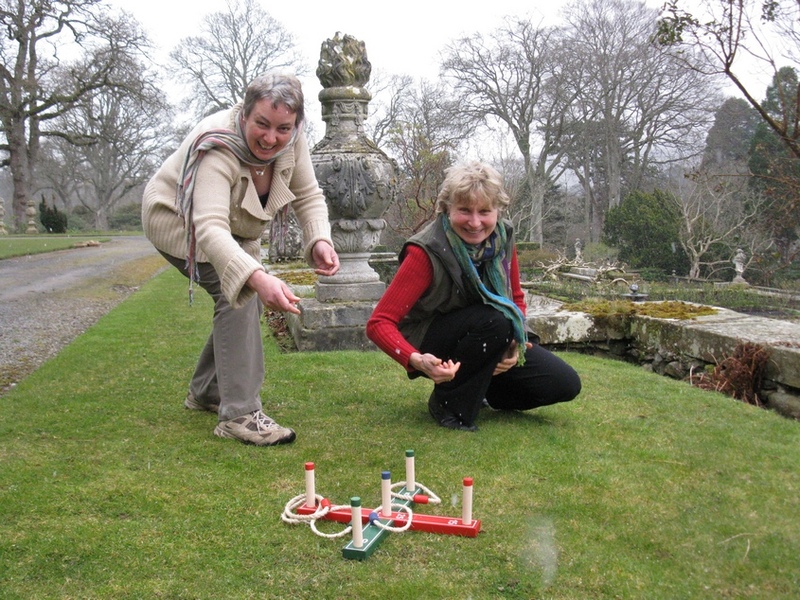 March: The Pin Mill after refurbishment, a visit from the Welsh Secretary David Jones, seen with our visitor services manager Ann..and Rose and Elvina swap the office for quoits in a blizzard. 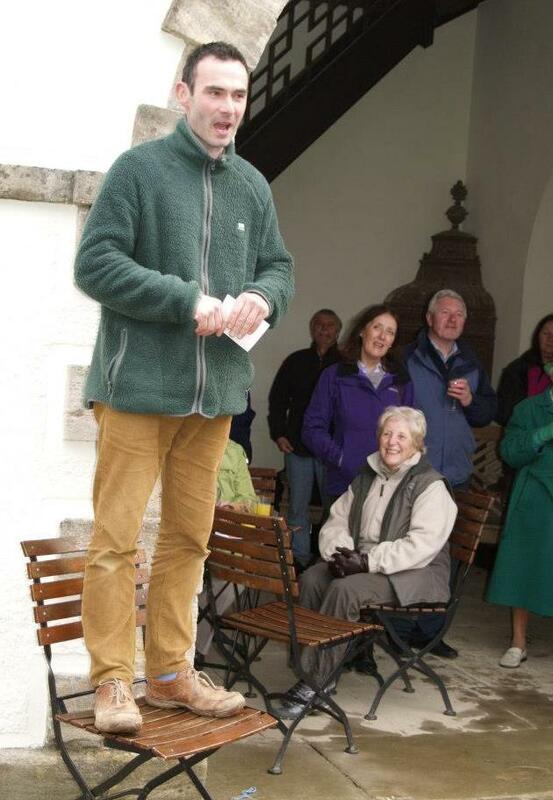 Easter brought an unseasonal deluge of snow! 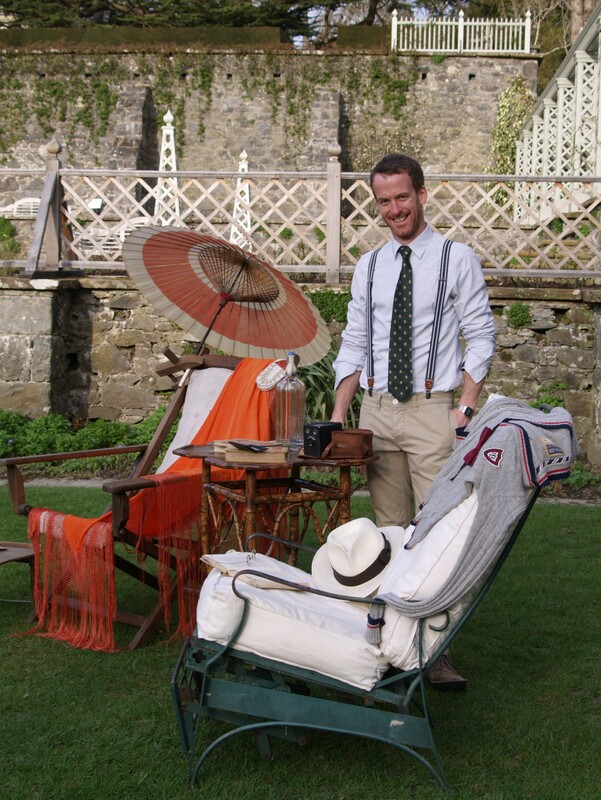 The main event of May was the departure of head gardener Troy Smith who left after 7 creative years at Bodnant to take up the helm at Sissinghurst Castle in Kent, another prestigious National Trust property. 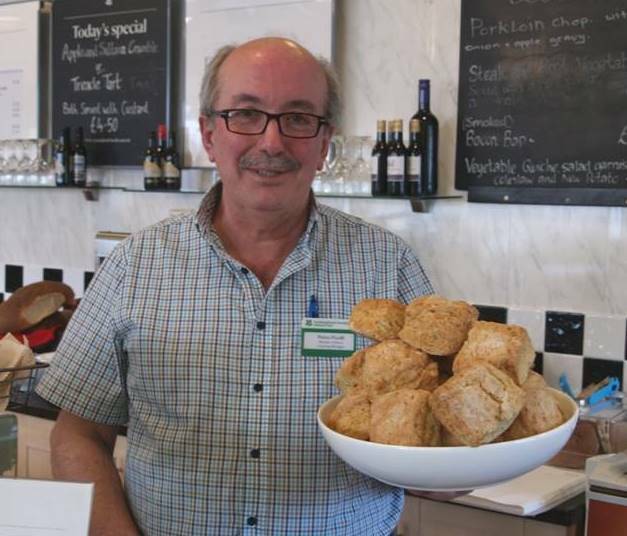 We also bade a fond farewell to catering manager Debbie and welcomed Pietro to the popular Pavilion tearoom. 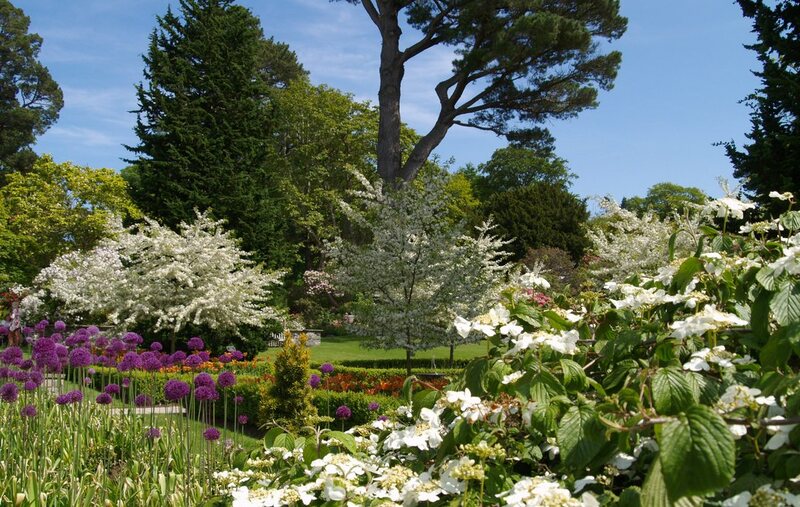 After a long, long spring plants were around a month late in blossoming, including the Laburnum Arch which kept everyone waiting until June…but when it came the flower show was amazing. 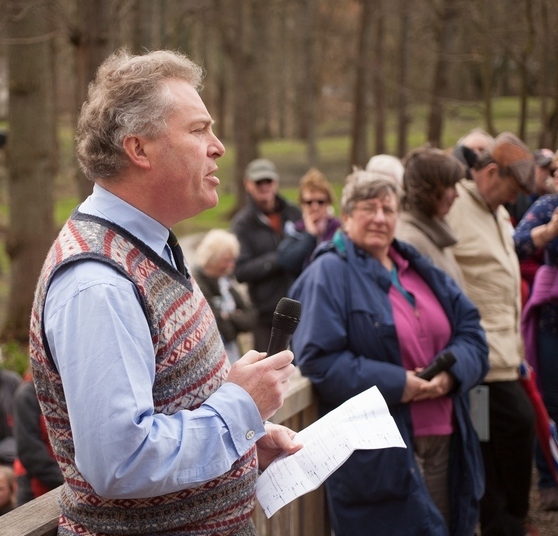 May: Troy saying farewell to staff and volunteers at his leaving do, one of the delighted visitors who bombarded our Facebook pages with pictures of the arch when it finally appeared, and a spectacular late spring merging into early summer. 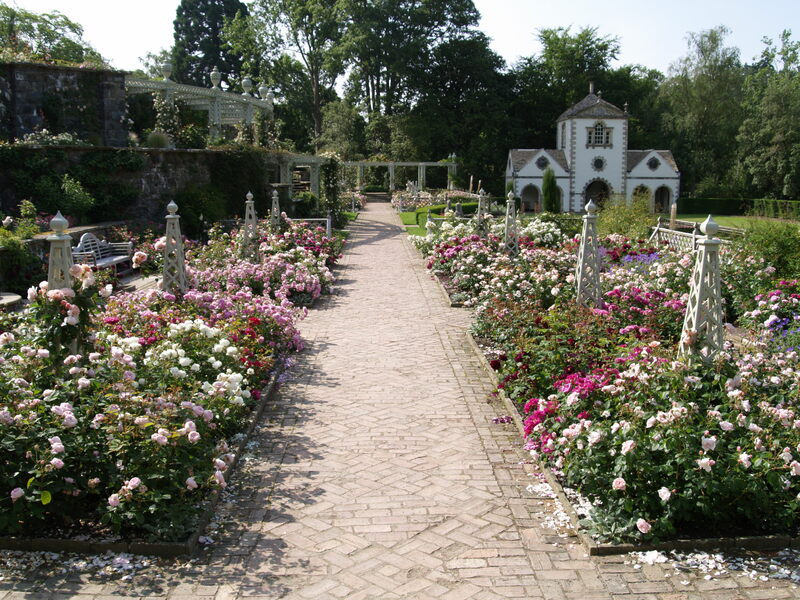 However, from July onwards it was sun all the way, perfect for the opening of the new White Garden, designed by our student gardener David Green; also for a fabulous flush of roses on the renovated rose terraces and for the inaugural opening to the public of the Old Park, a wildflower meadow which has been a private area until this year. 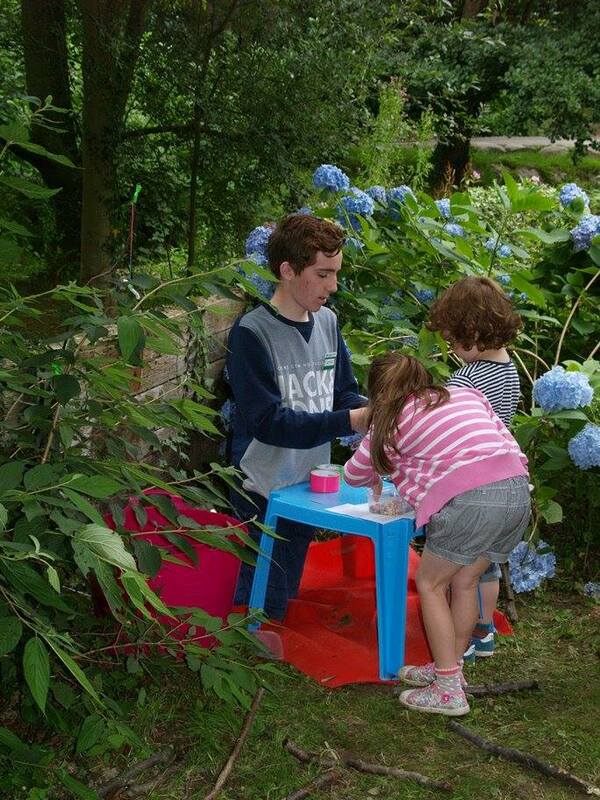 The sun also shone on our new family events programme, Grow Wild, which was a massive hit with younger visitors. 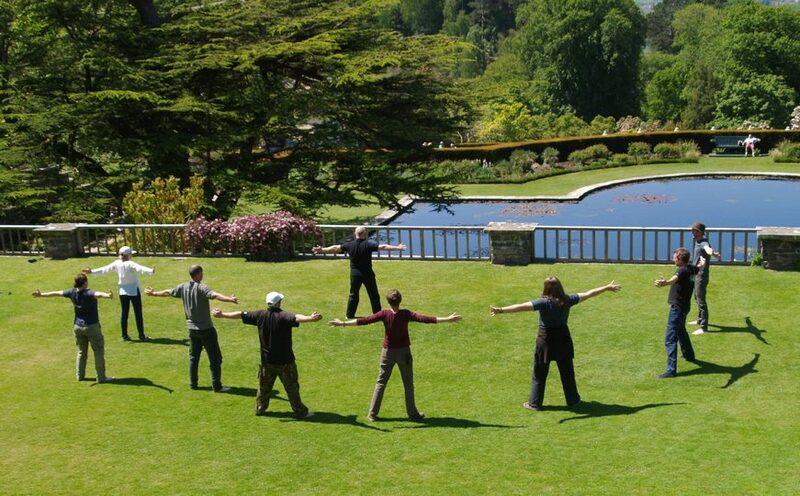 A glorious summer: Tai Chi on the lawn, acting head gardener Adam congratulates student gardener Mark on a successful year at Bodnant, family fun in the garden and roses, roses roses! 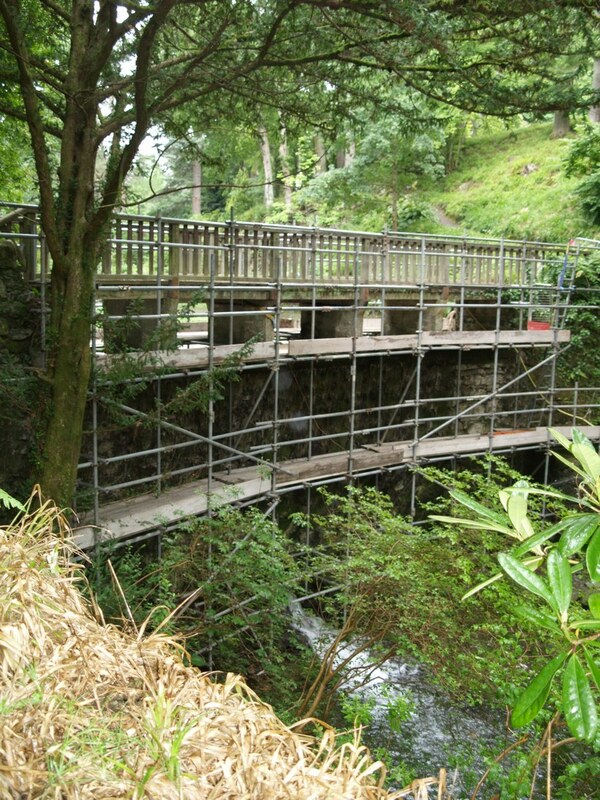 As autumn rolled in another major project started with £150,000 renovations to the Waterfall Bridge in The Dell. 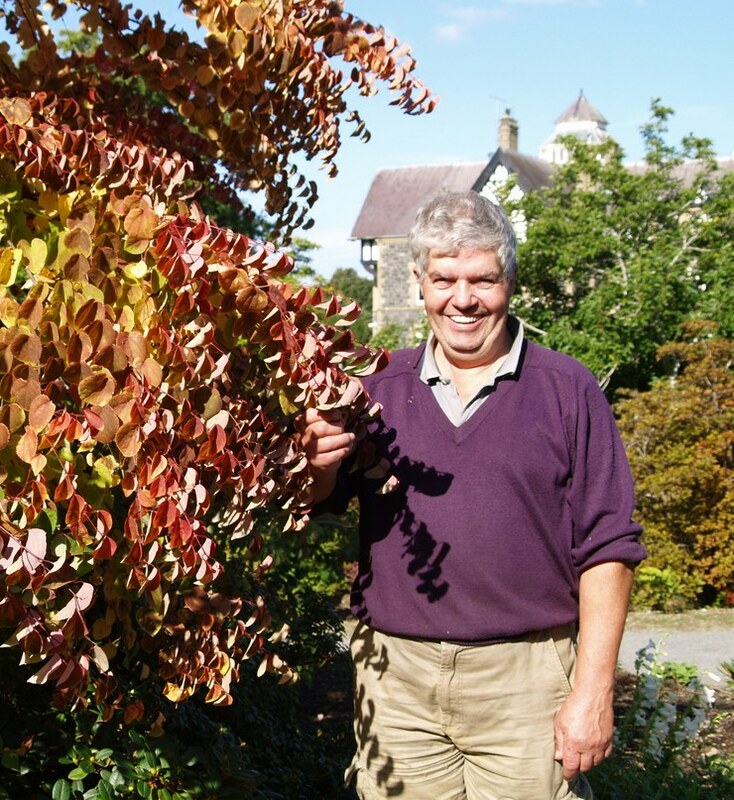 Sadly, September marked another goodbye with the retirement of gardener Tony who left after 27 years and whose deft fingers have been behind the care of our Laburnum Arch for more than a decade. October: Not only did we say goodbye to gardener Tony, but to student gardeners Keith and Richard. 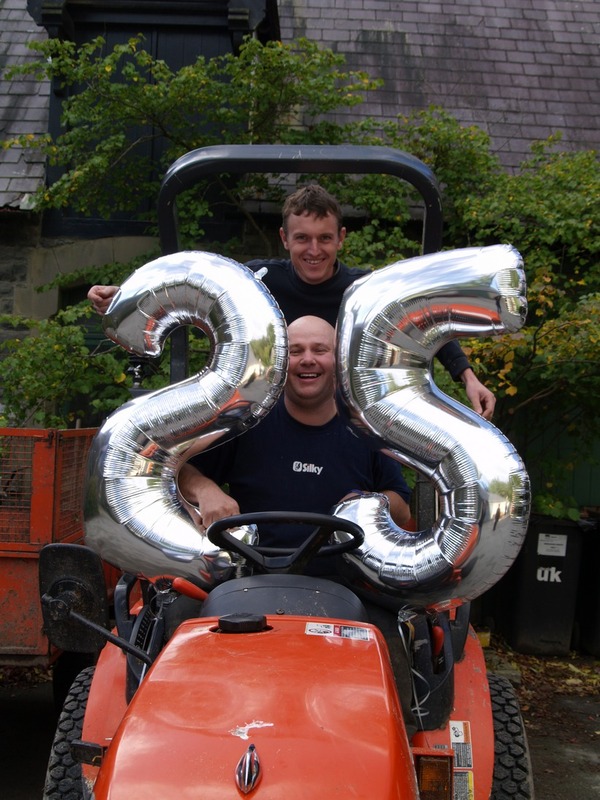 However we did welcome three new students Harvey, Huw and Nathan…and marked arborist Paul’s 25 years at Bodnant Garden. 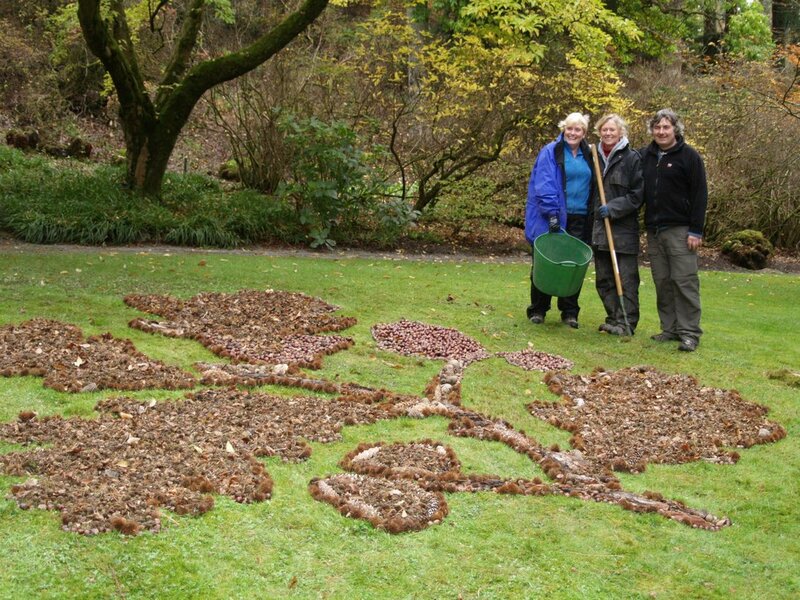 November: Volunteers helping artist Tim Pugh create a giant oakleaf in the Dell, and repairs to the Waterfall Bridge. 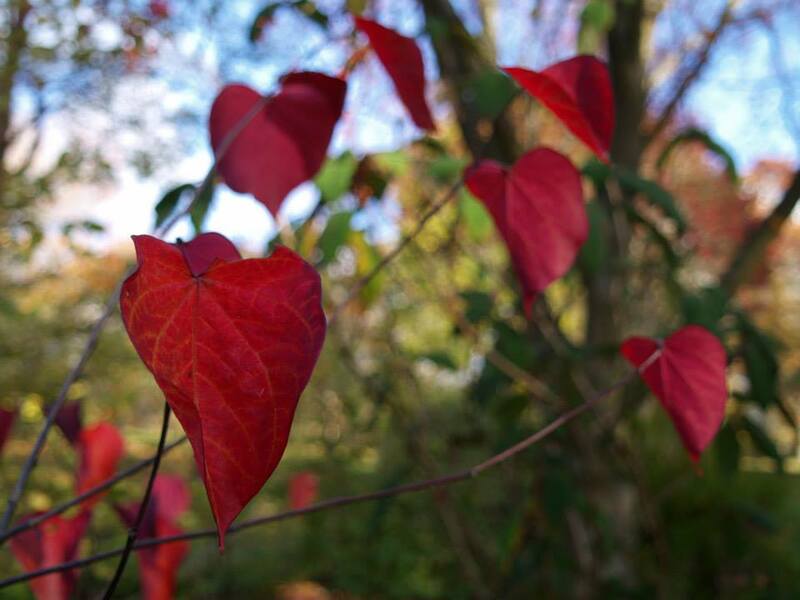 We enjoyed a brilliant show of autumn colour this year – albeit a little later than usual – but the big news of the season has been the garden staying open! 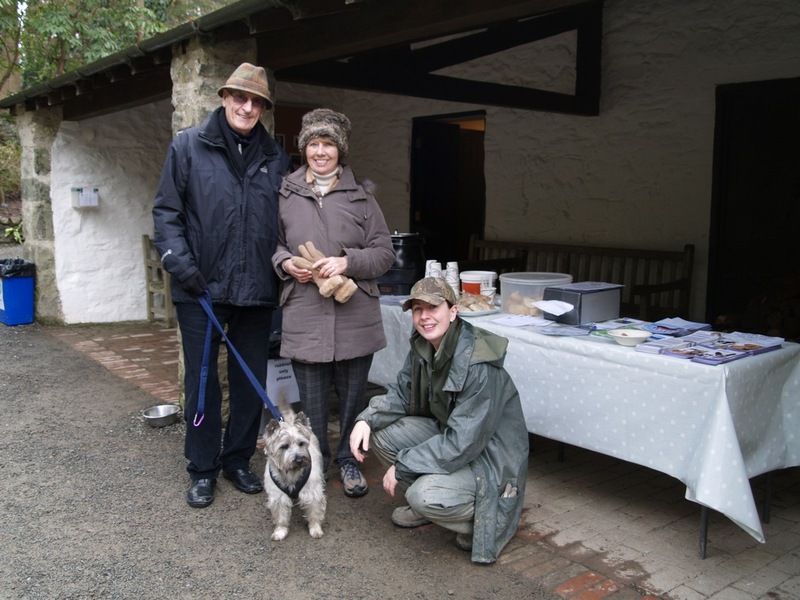 It’s been the first year we’ve kept the gates open throughout the winter and to keep people toasty warm and inspired we’ve now got a brazier in The Dell, a kiosk serving hot snacks and a series of winter walks, talks and workshops. 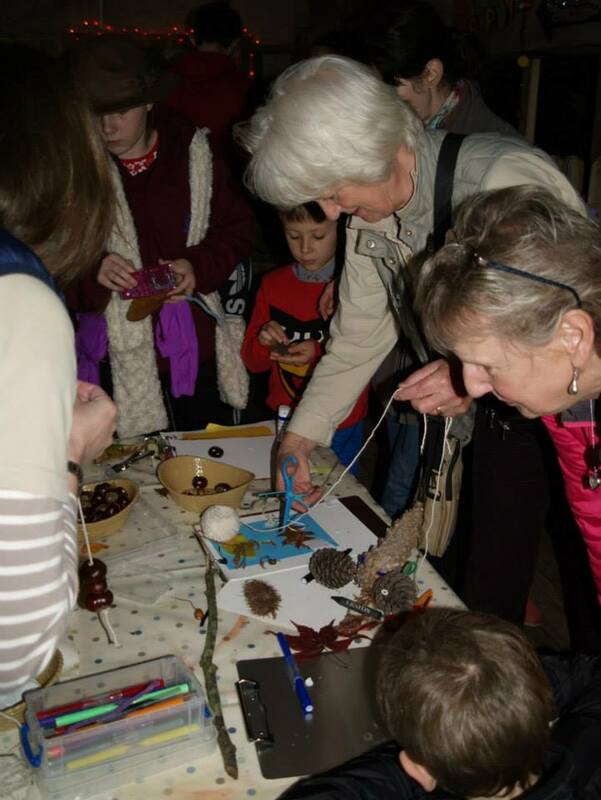 Our volunteers also got into the festive spirit in December by transforming part of the Old Mill into an Elves’ Workshop providing Christmas crafts for families. 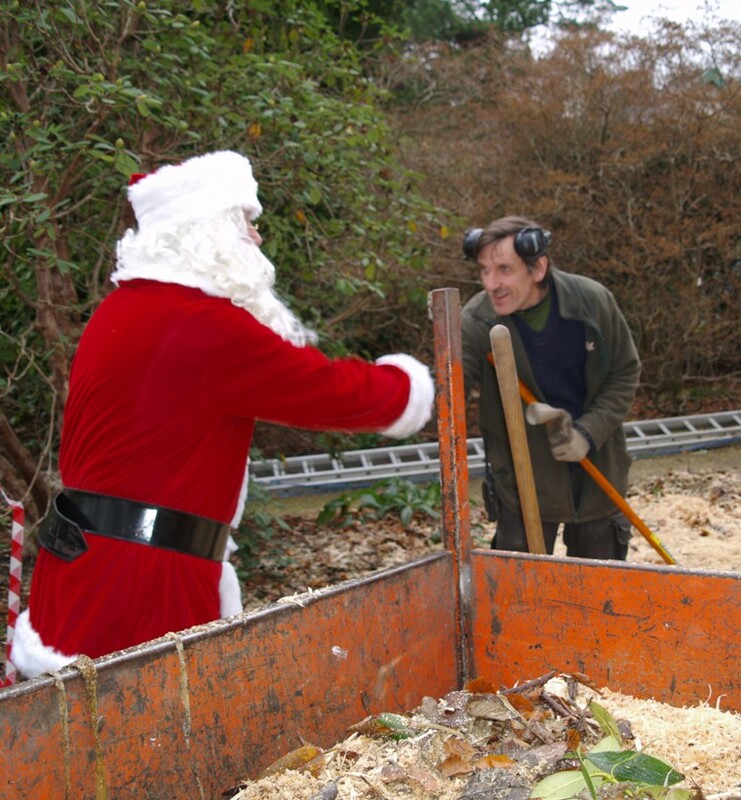 The year closed with very unfestive spate of stormy weather which has taken down several trees around the garden and caused flood damage in The Dell…but as we speak gardeners and volunteers are on the case clearing the debris and damage to keep the garden open to visitors. 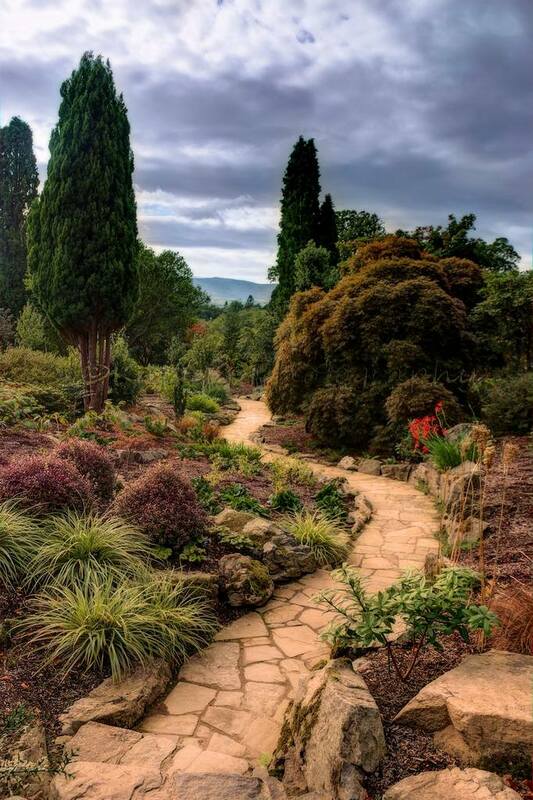 Nature can be harsh at times but the garden also has an incredible way of bouncing back (with a little graft from us mortals) and Bodnant has weathered many a storm in its history. 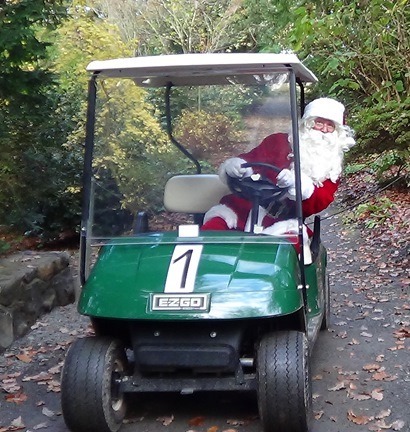 We’re looking forward to 2014. 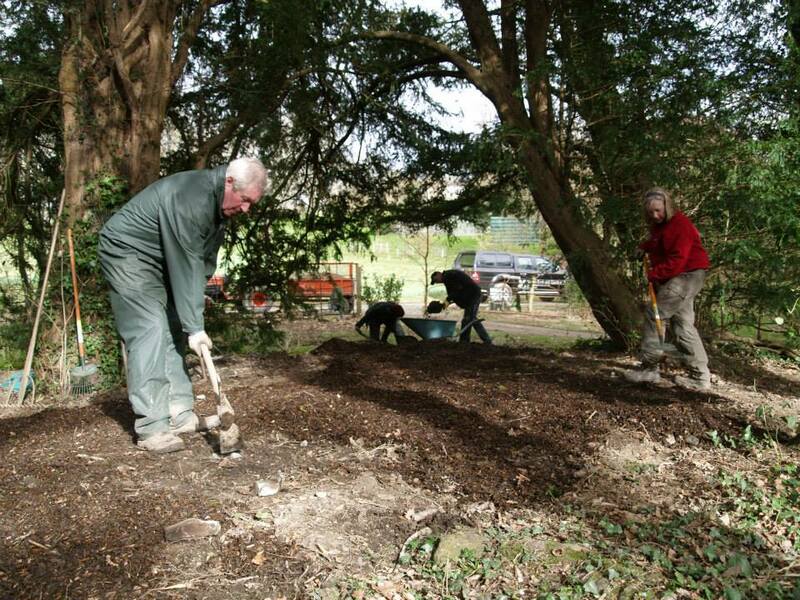 There are more new developments to come, not least the grand opening in March of the Yew Dell, another formerly private area of the garden. 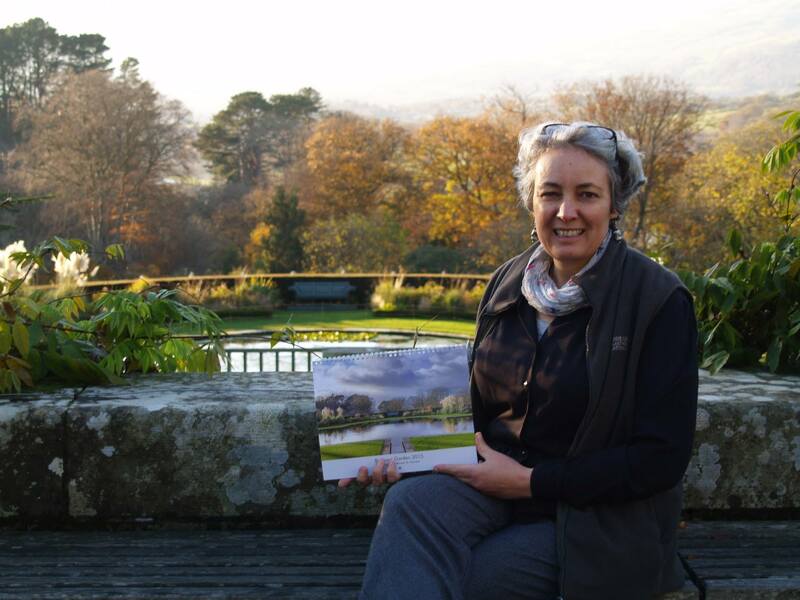 We’re also about to launch a year-long photography competition to harness visitors’ artistic talent, the results of which will be made into a 2015 calendar. 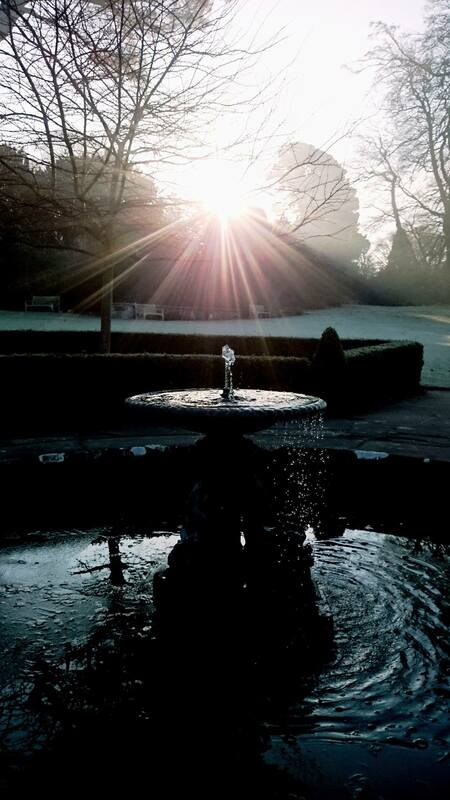 From all at Bodnant Garden a massive Happy New Year everyone – thank you for your visits, your support, your comments and pictures and ideas – and we’ll see you in 2014!